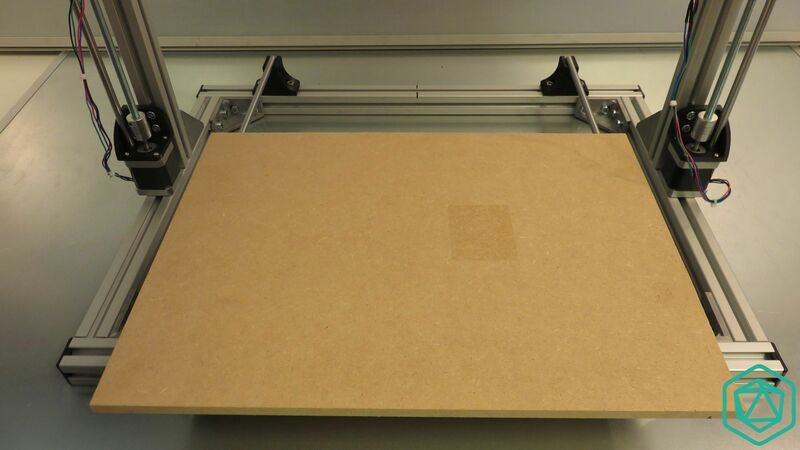 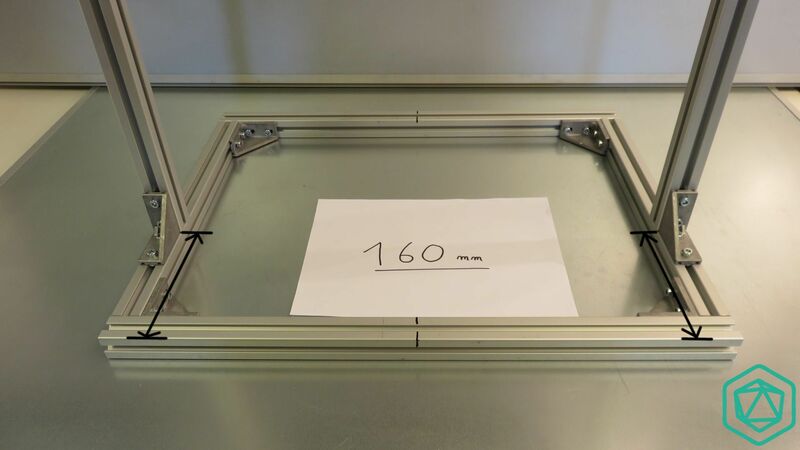 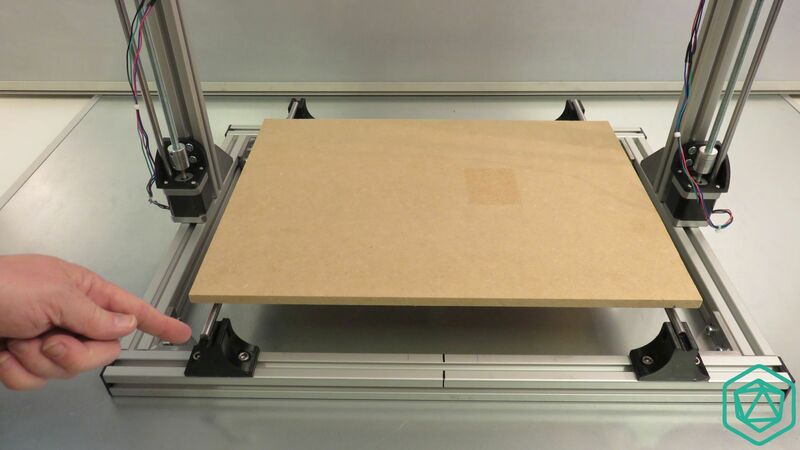 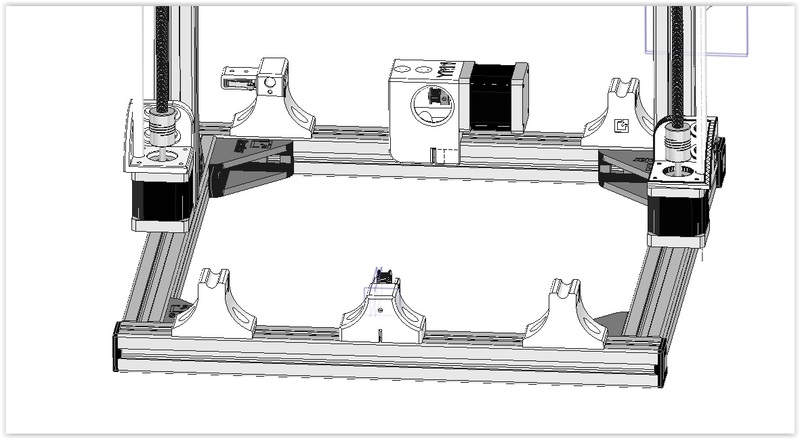 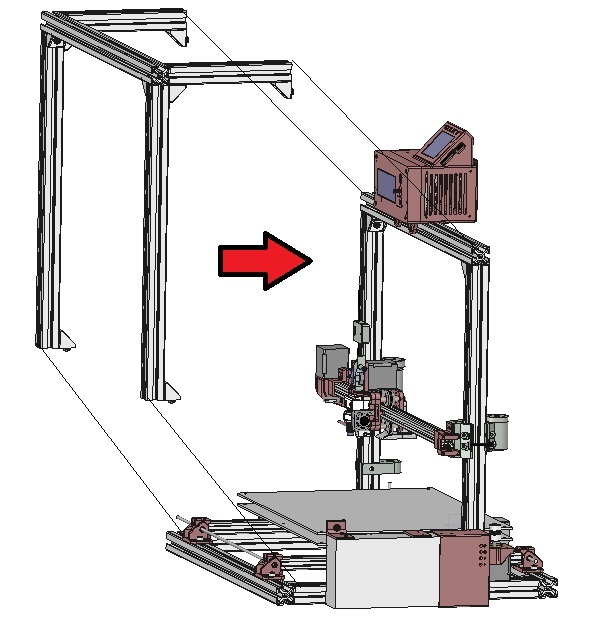 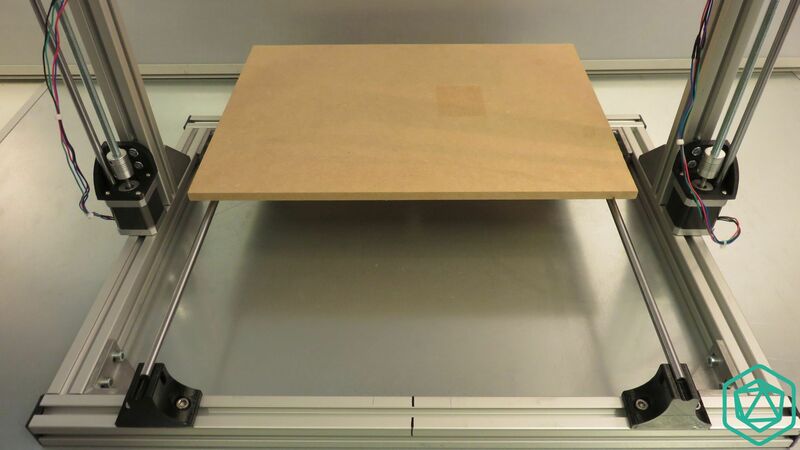 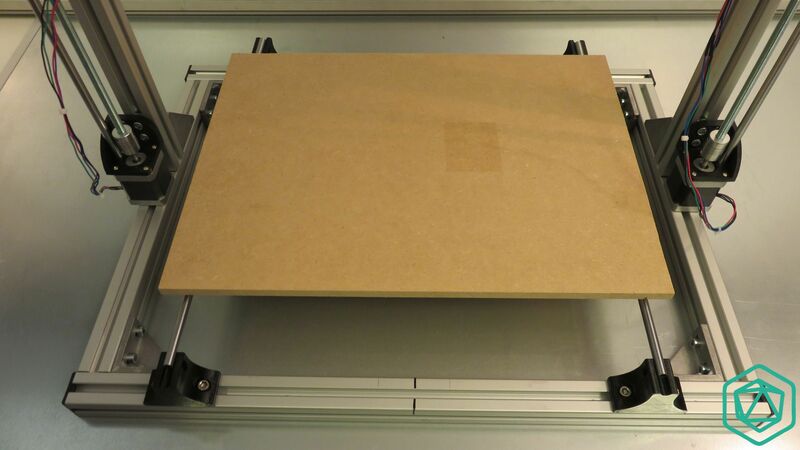 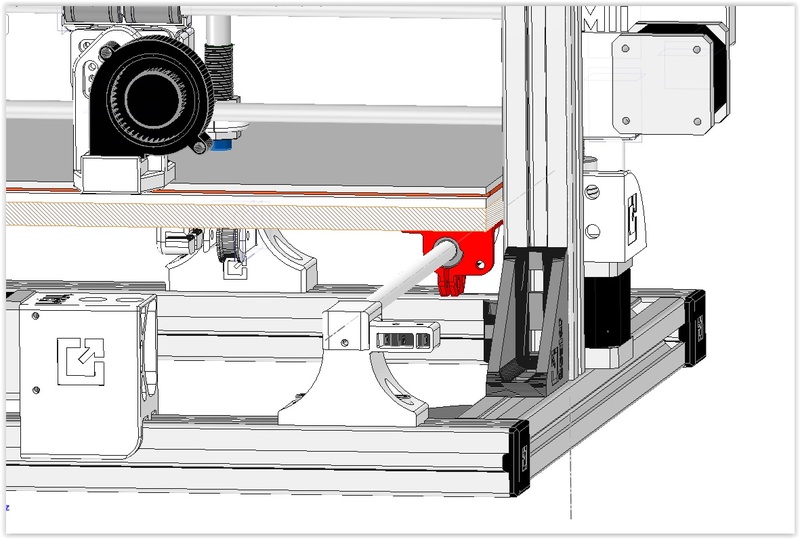 The best is to rotate the printer chassis as shown in the picture. 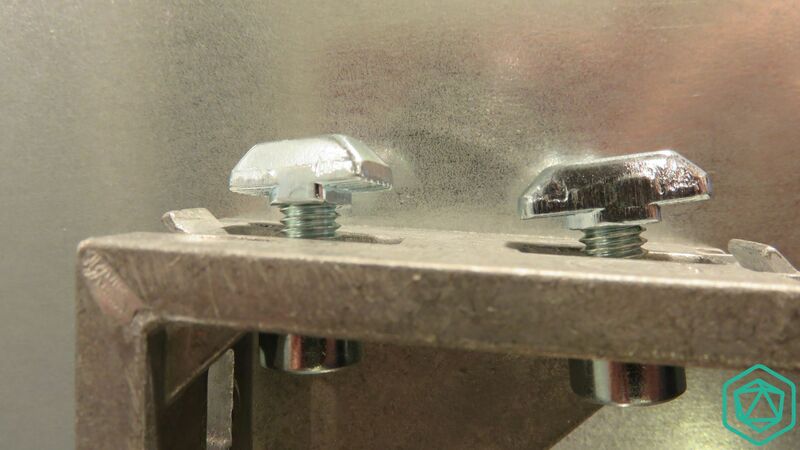 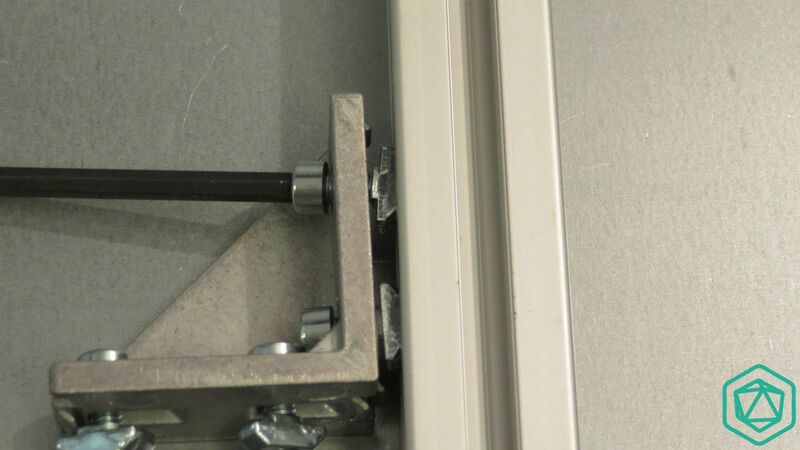 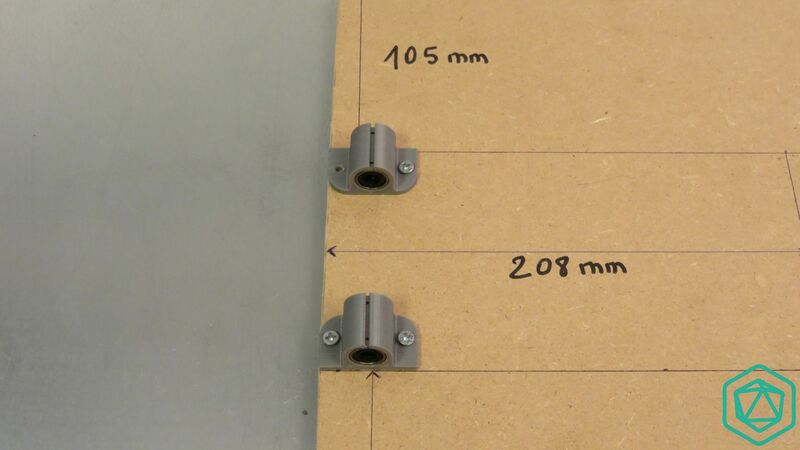 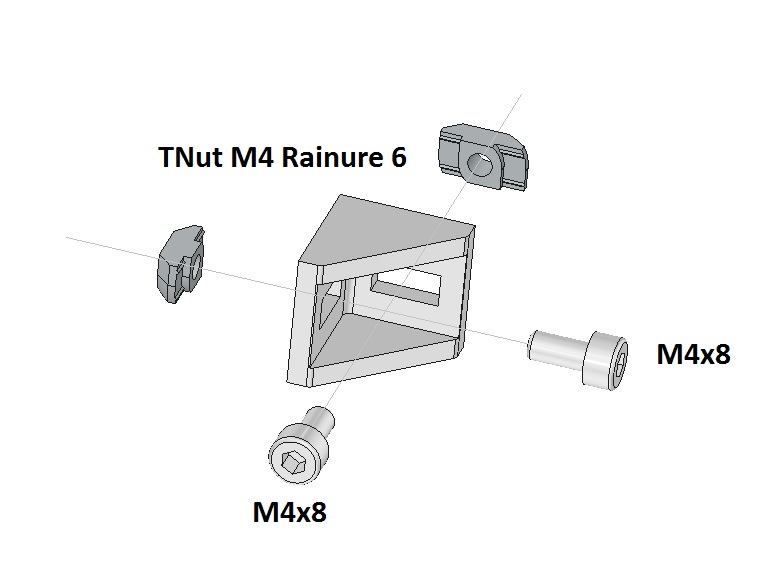 The purpose is to make it easier to place the T-Nuts inside the aluminum profile Slot.The spool holder is made so that you cannot pre mount the screws + T-Nut before placing the plastic part. 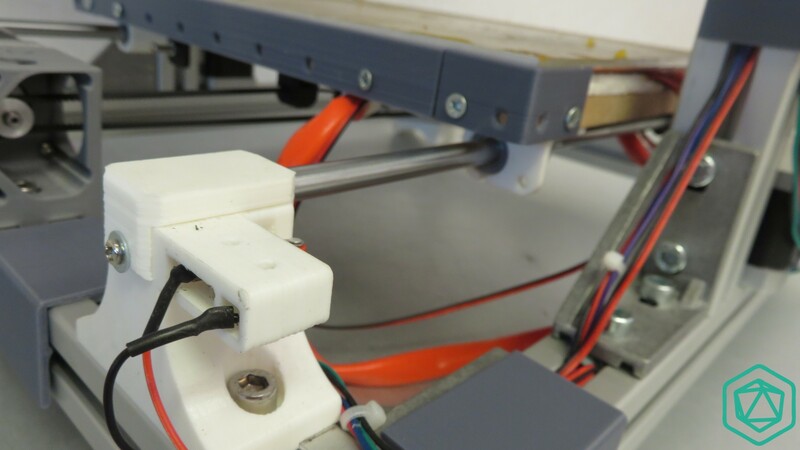 Focus on the Z axis motor wire. 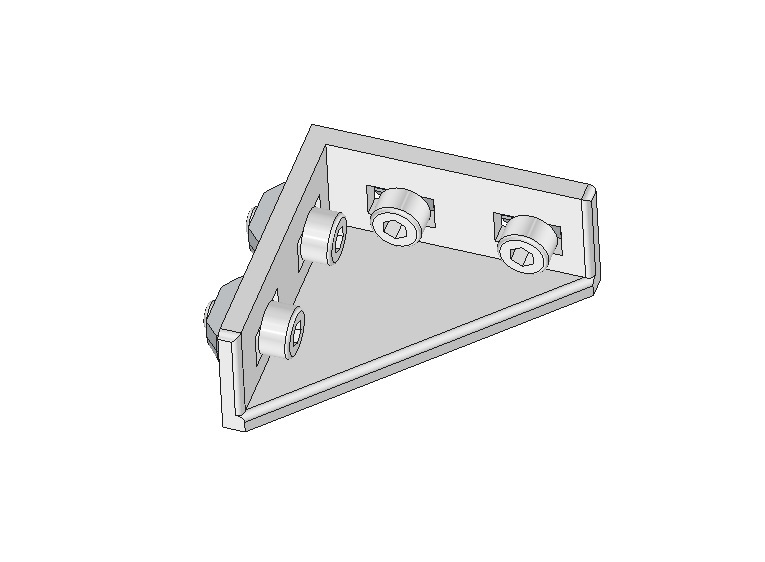 The goal here is to place it inside the aluminum profile slot. 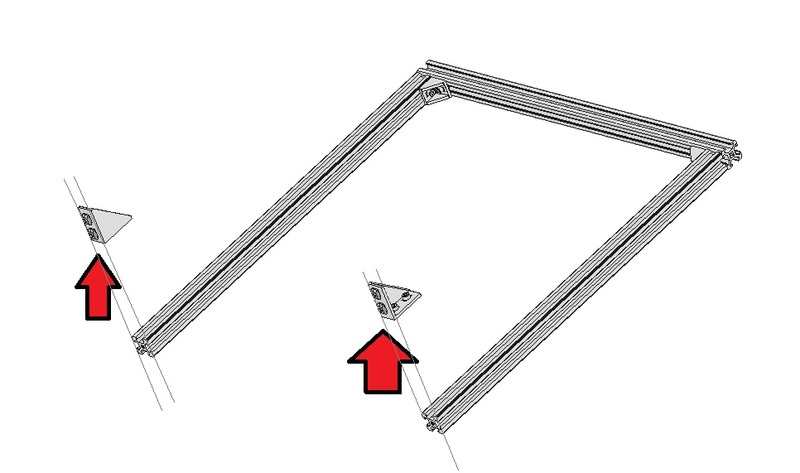 Place it as shown on the picture . 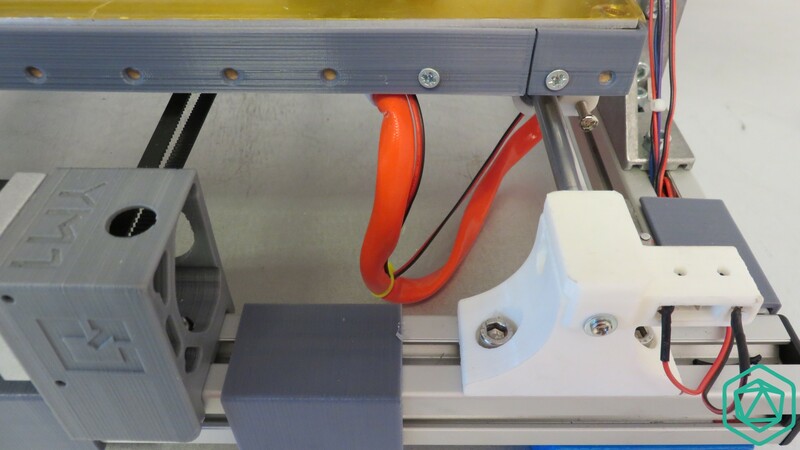 The other side of the wire must exit on the top of the power supply module. 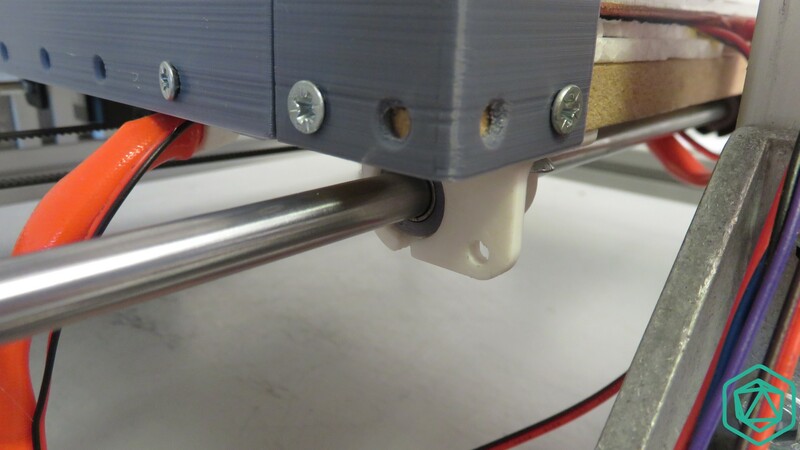 This cable will then get inside the slot the is maintaining the extruder module. 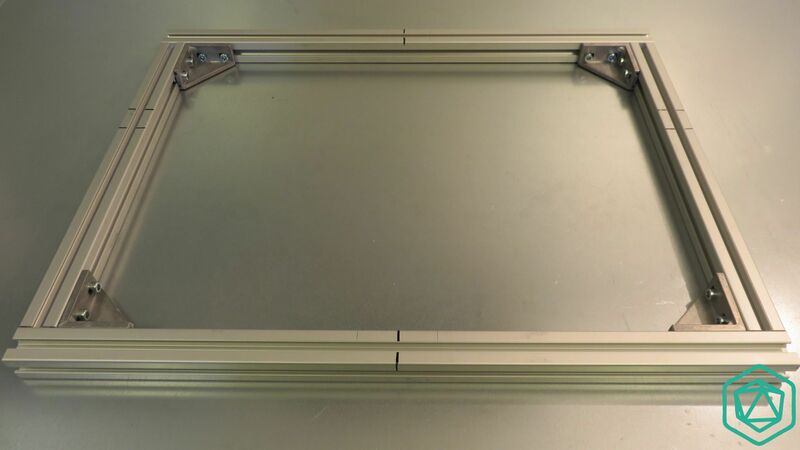 It should go behind the power supply plastic cover. 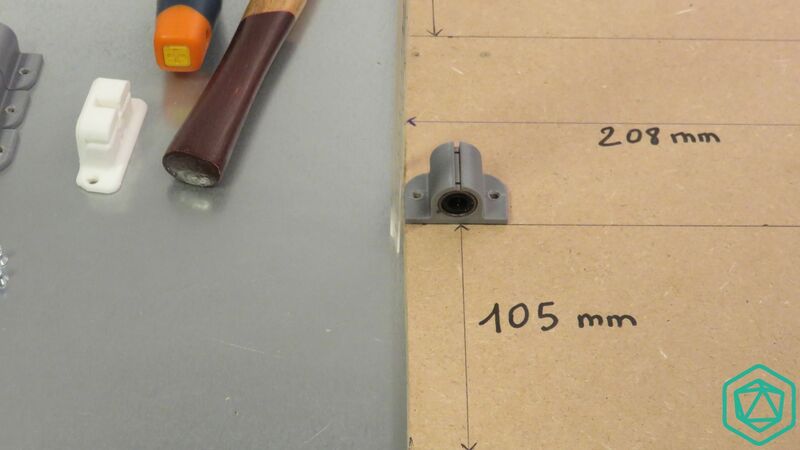 Slide it inside the slot so that it’s in place for the future wiring steps. 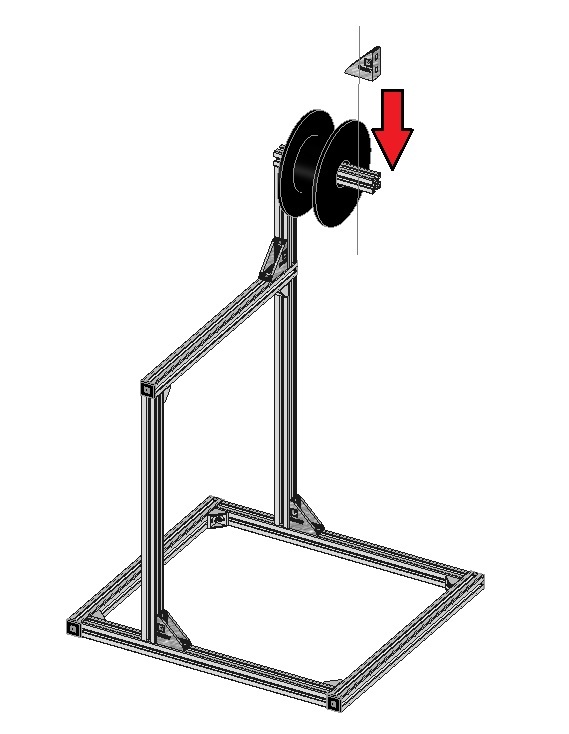 The wiring should look like this. 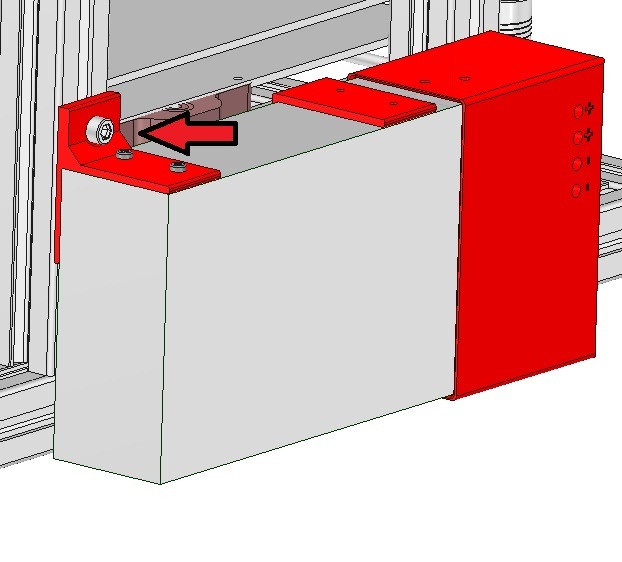 Connect the end of the 220V power supply plug to the power supply. 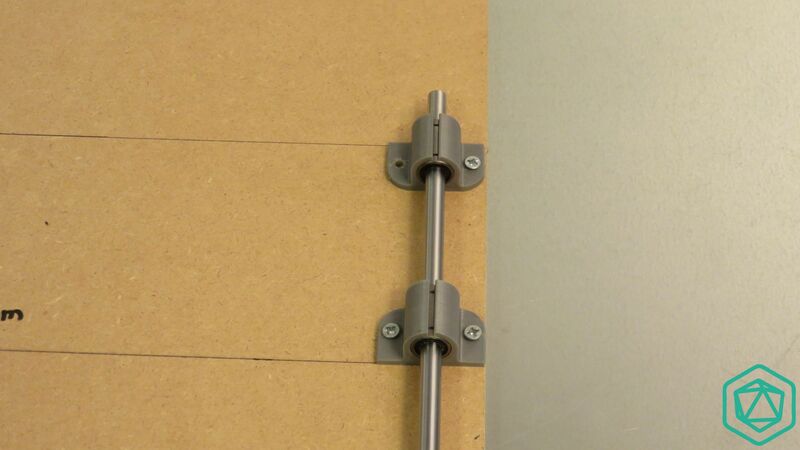 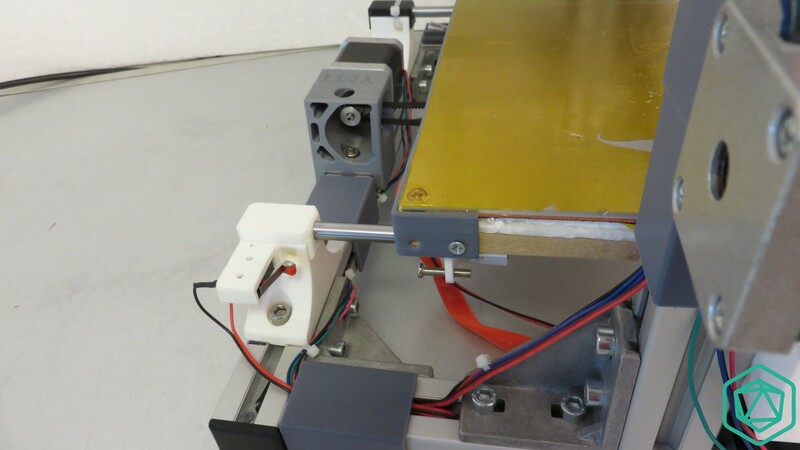 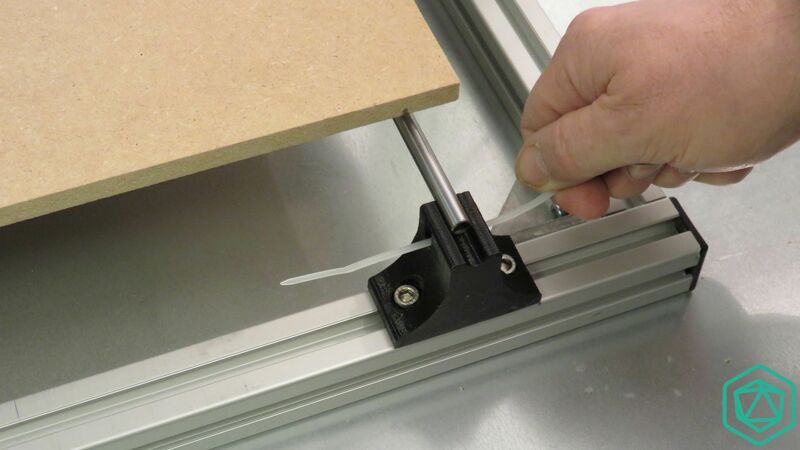 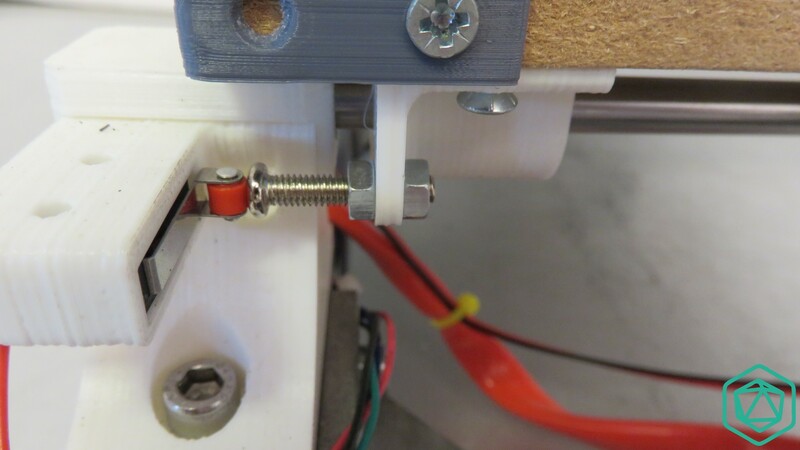 Then slide the cable inside the same slot used for Z axis stepper motor wire. 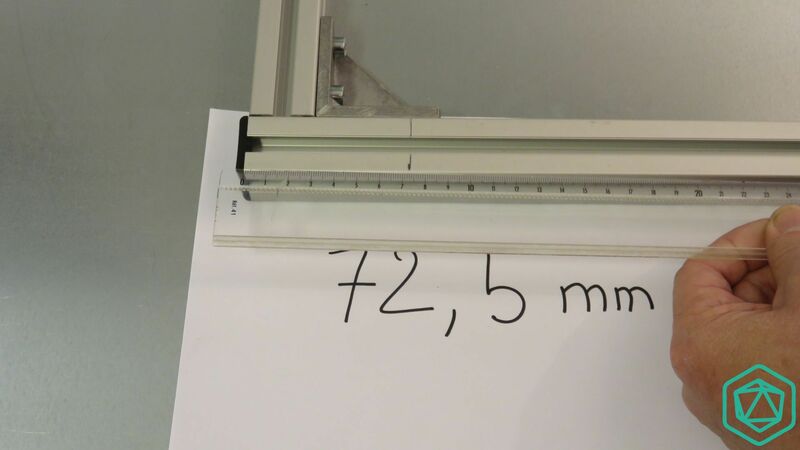 Now take a « short » clip. 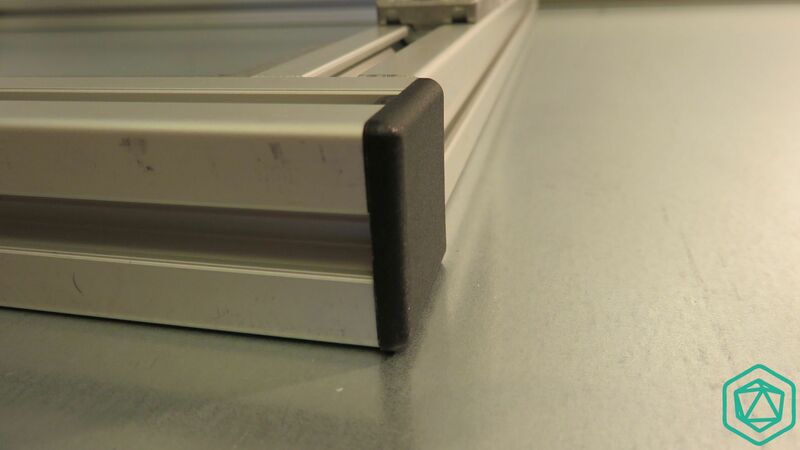 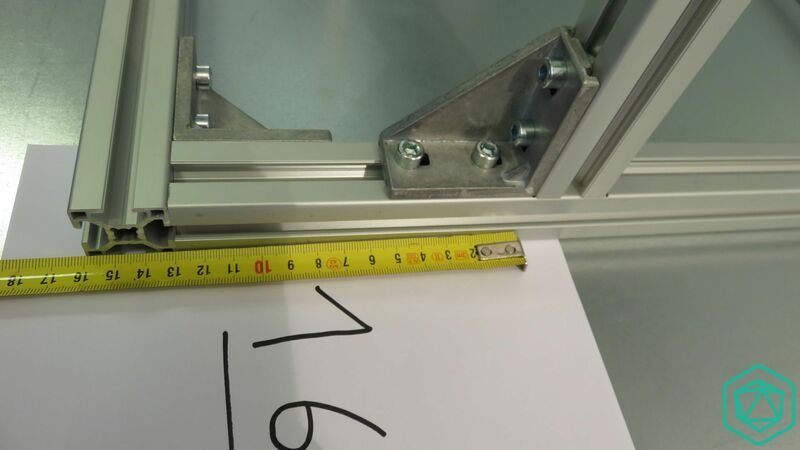 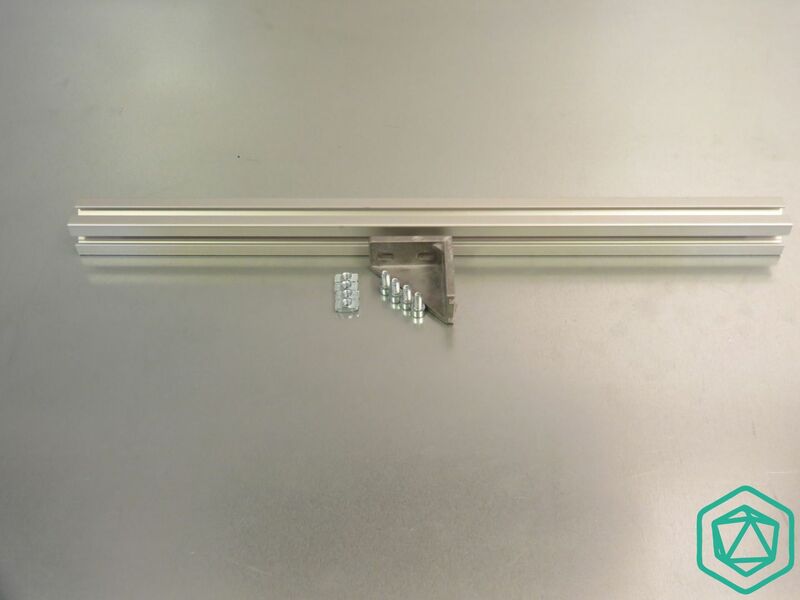 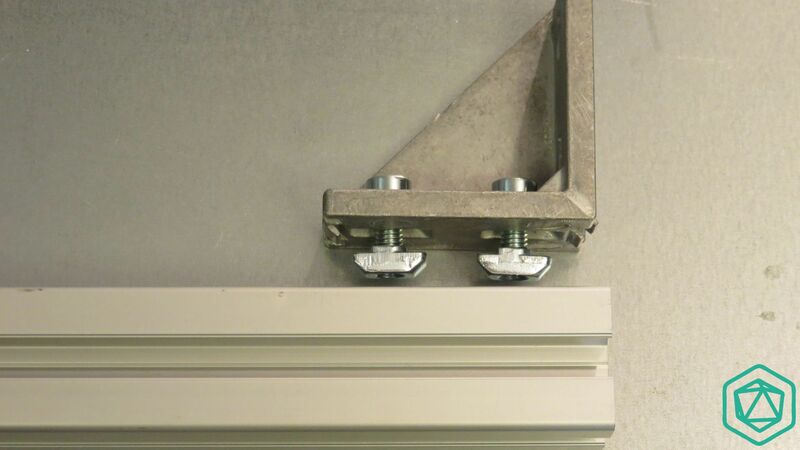 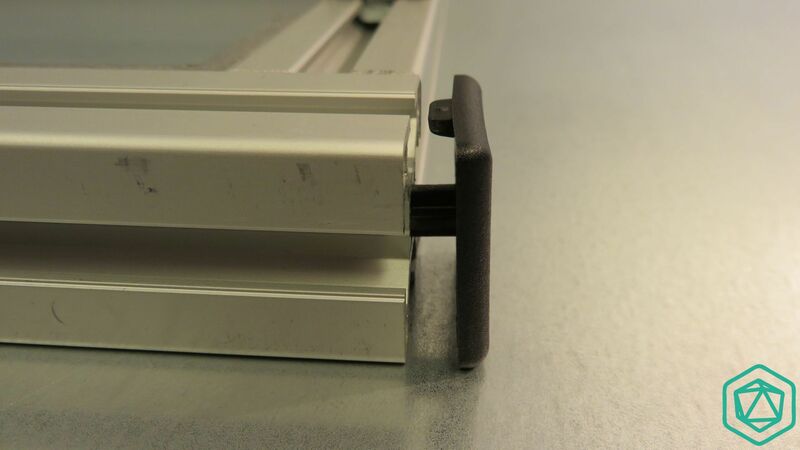 Those clips are made to be clipped on top of the aluminum profile slot and only secure one side of the aluminum extrusion. 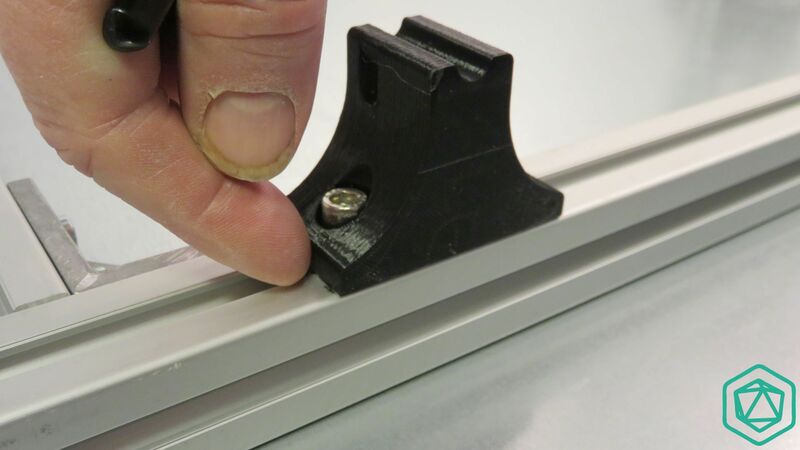 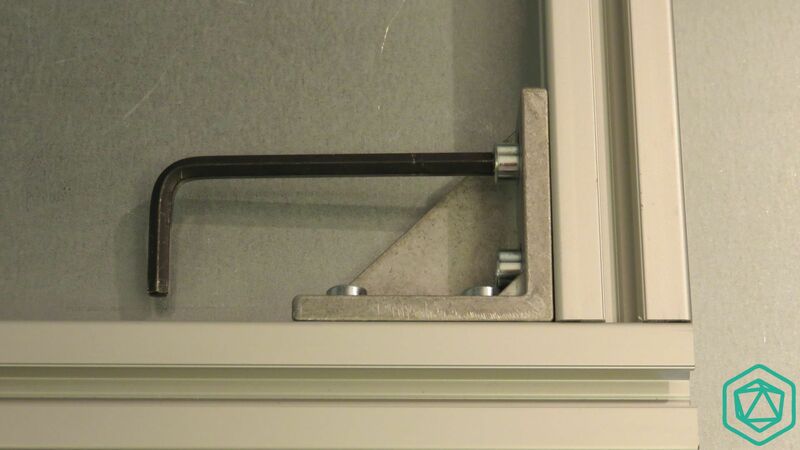 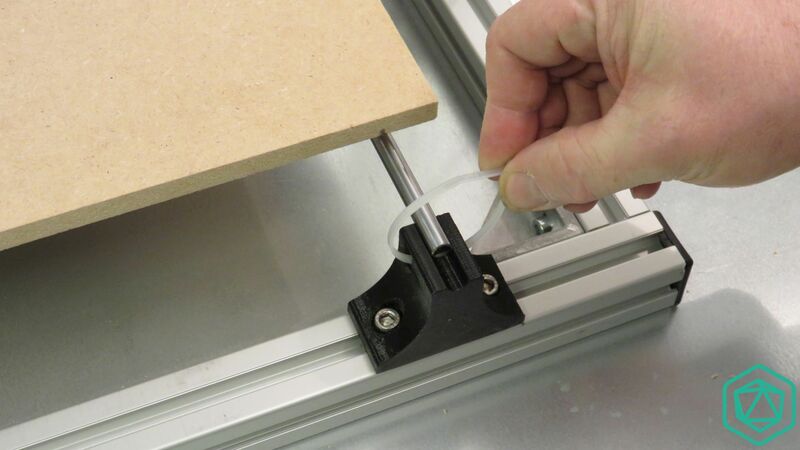 When you place it over the aluminum extrusion you should hear a « click » meaning it’s properly in place. 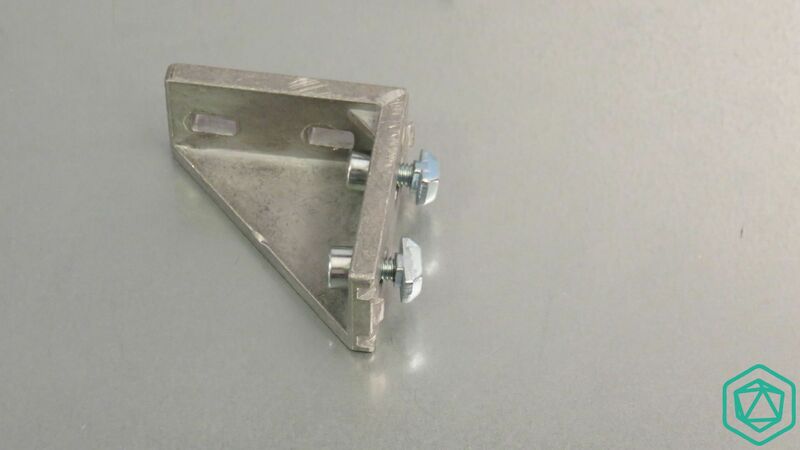 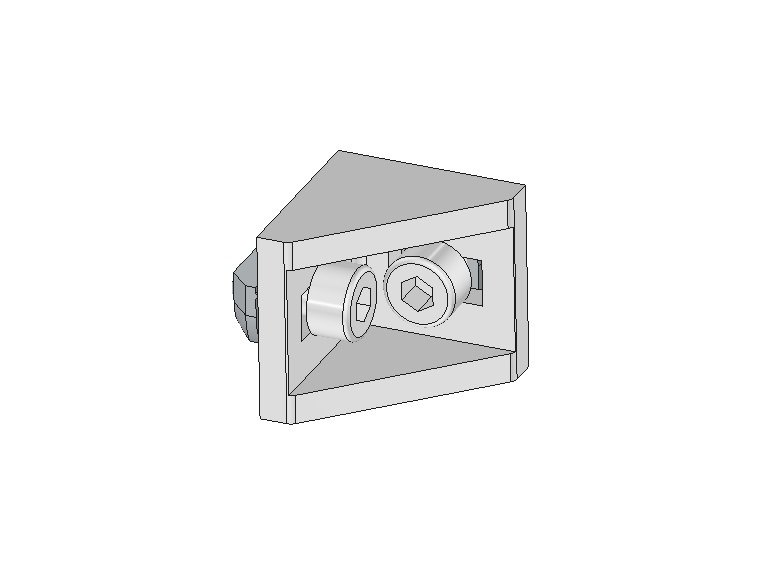 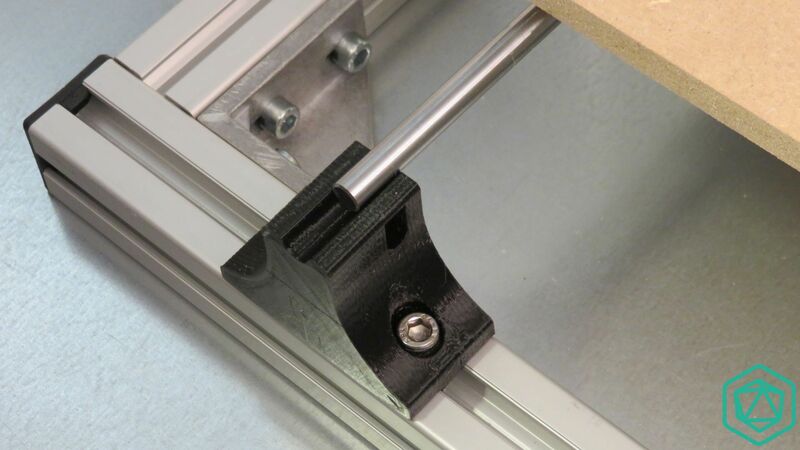 This clip will be used to secure the base of the cables inside the aluminum extrusion slot.place it just near the z axis motor support. 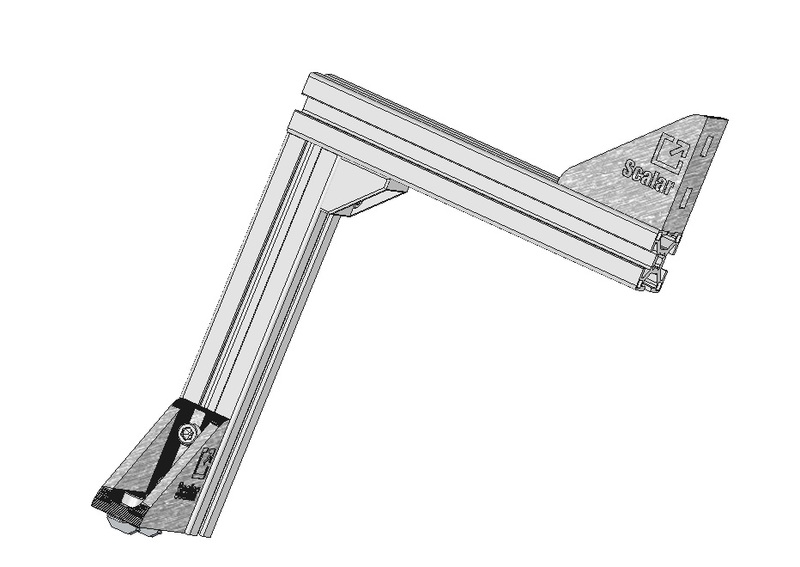 Now take a « long » clip. 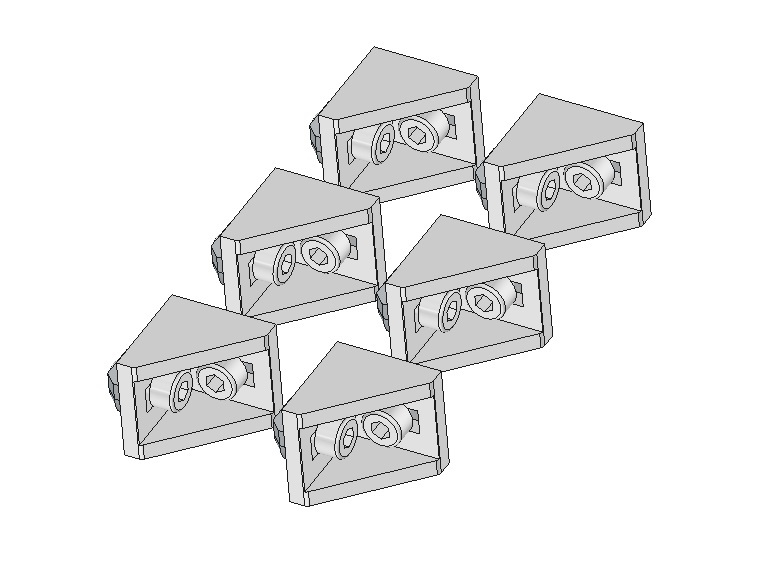 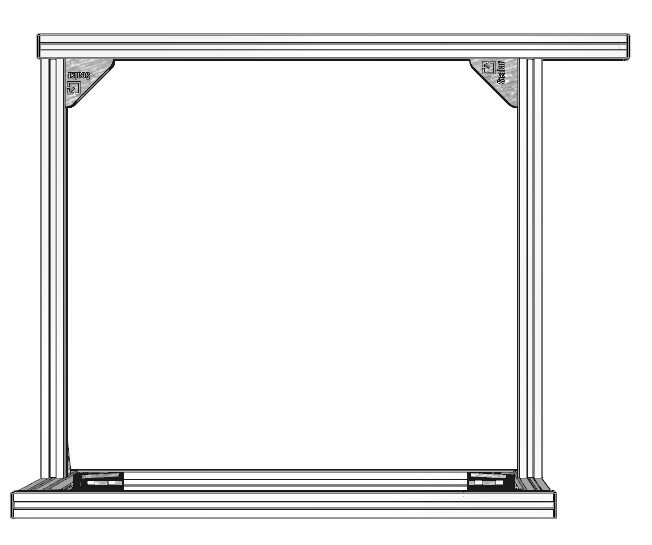 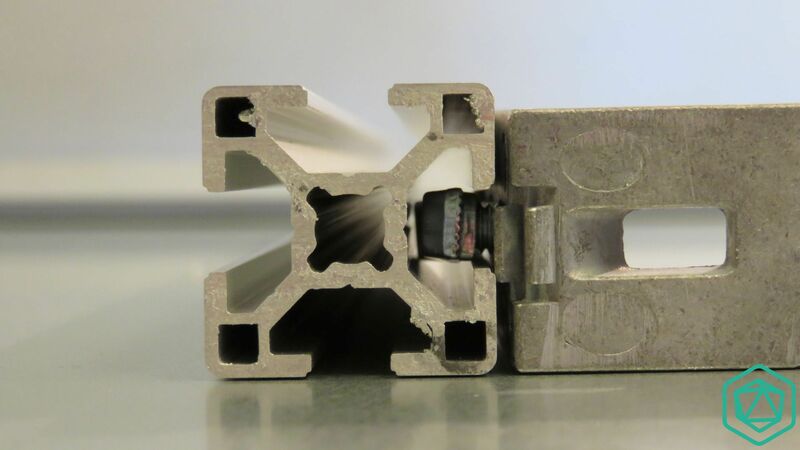 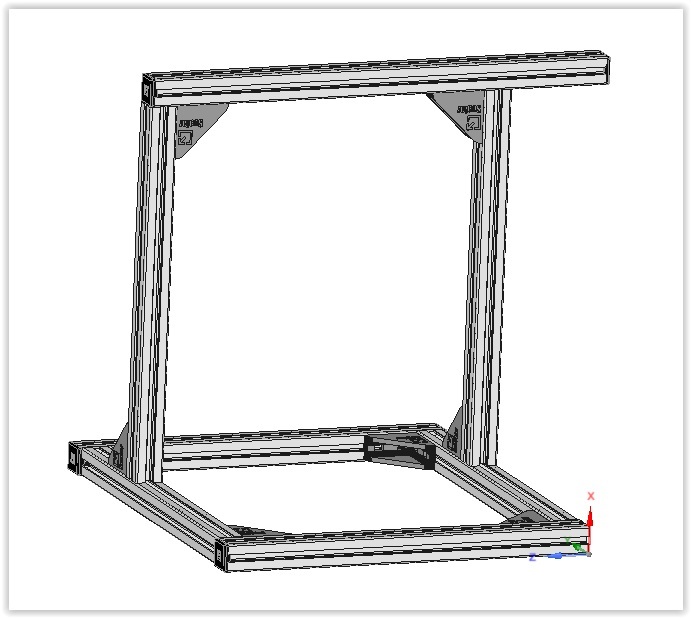 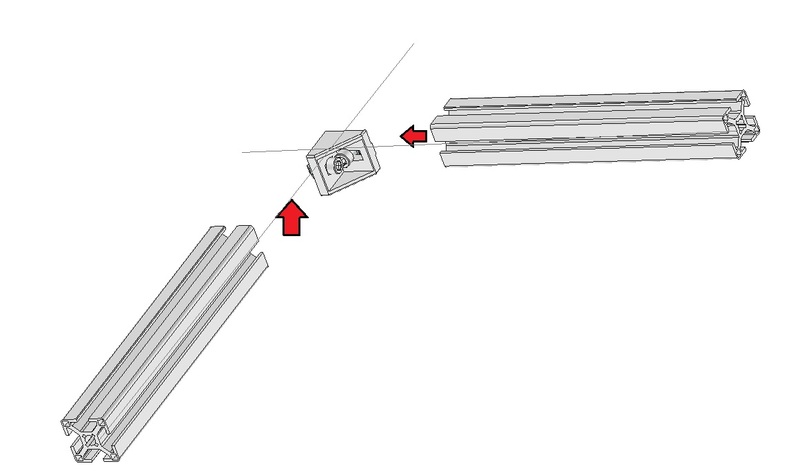 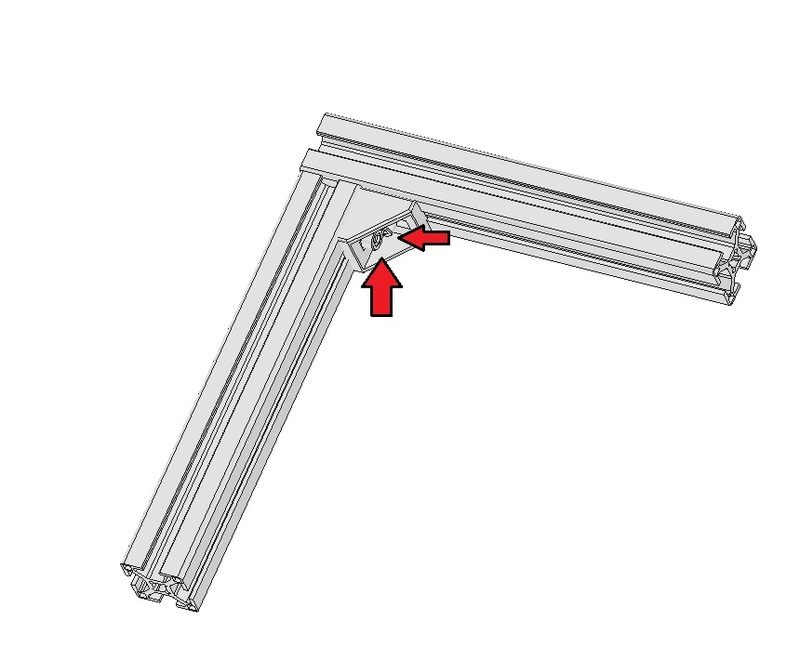 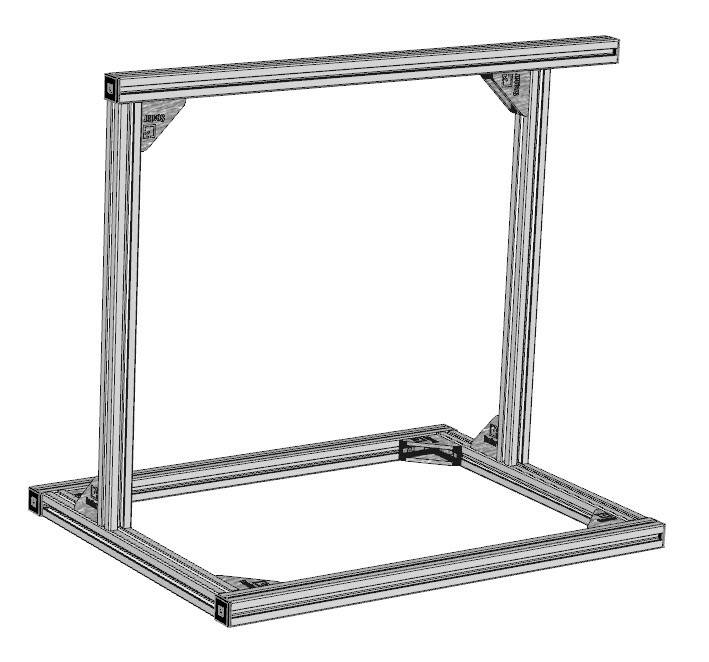 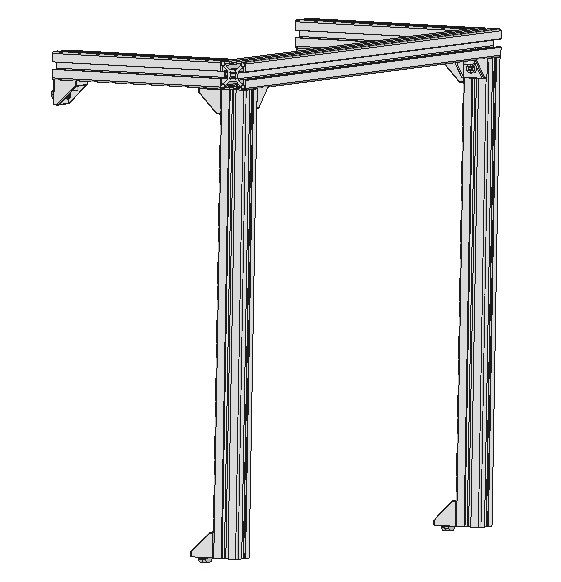 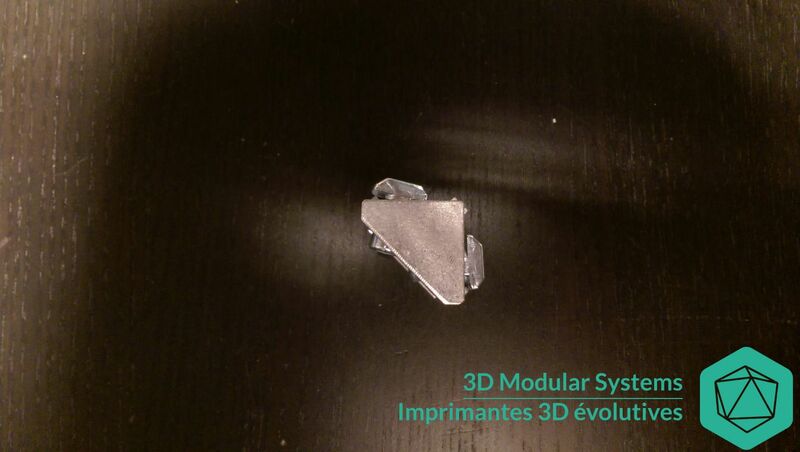 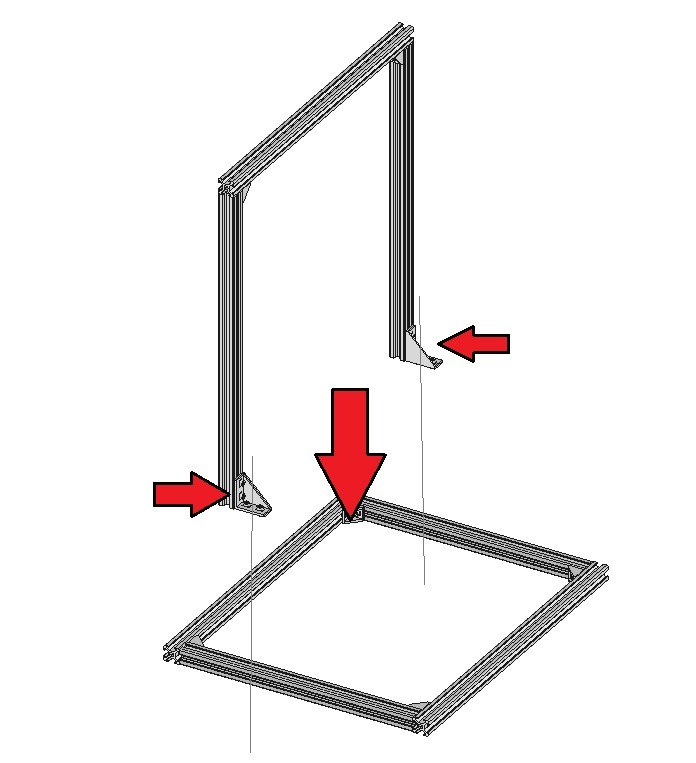 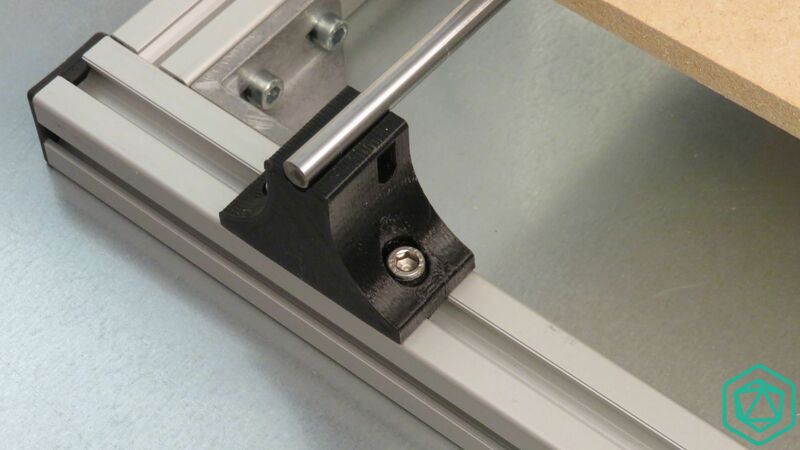 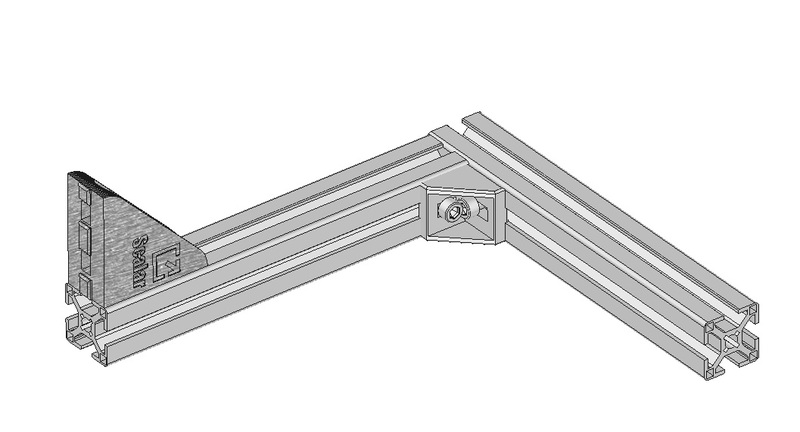 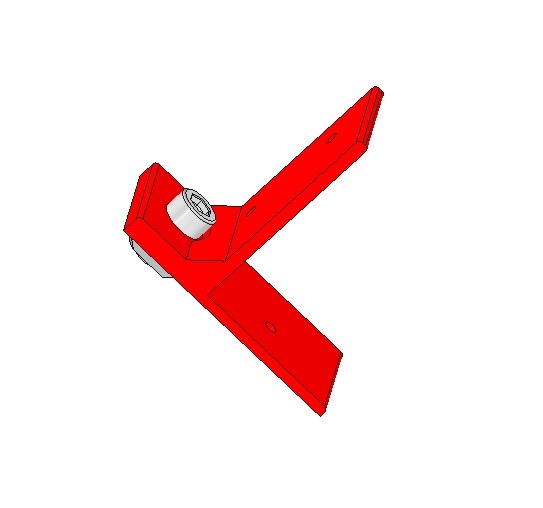 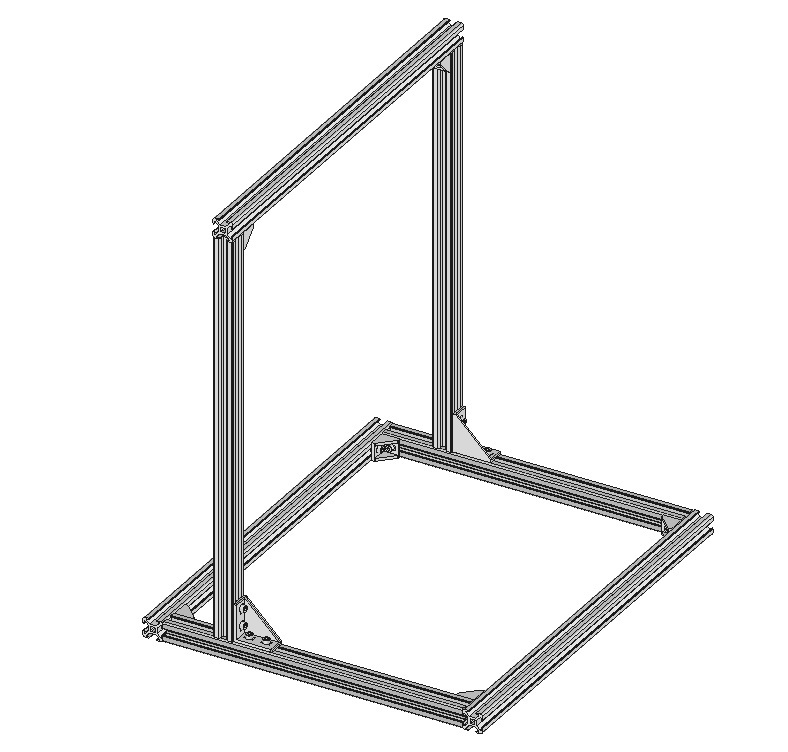 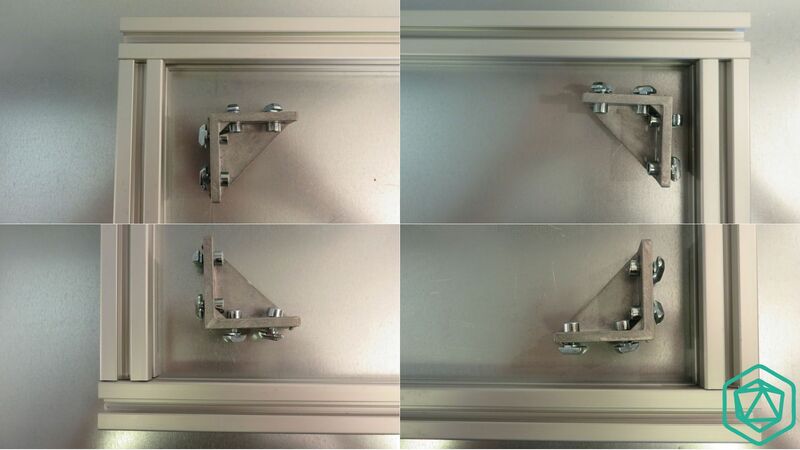 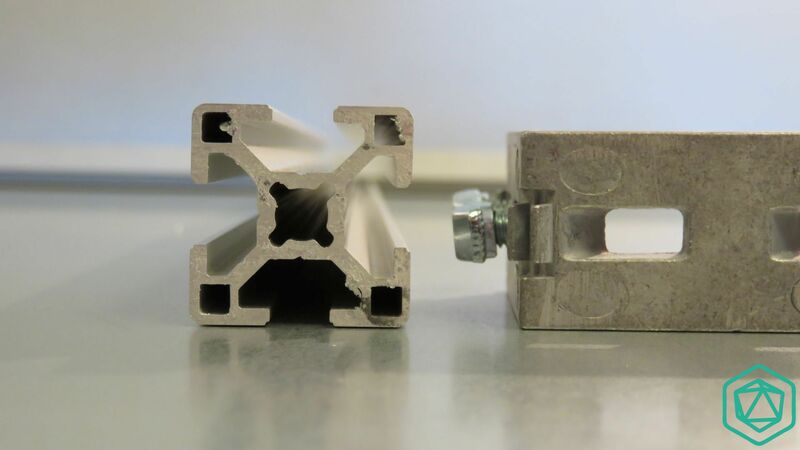 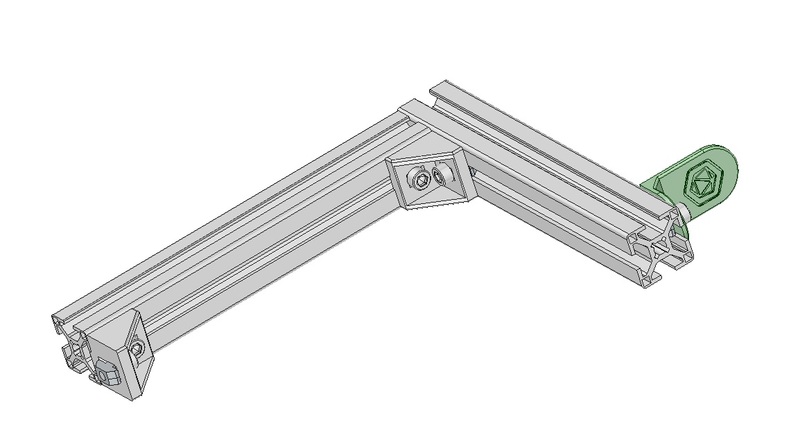 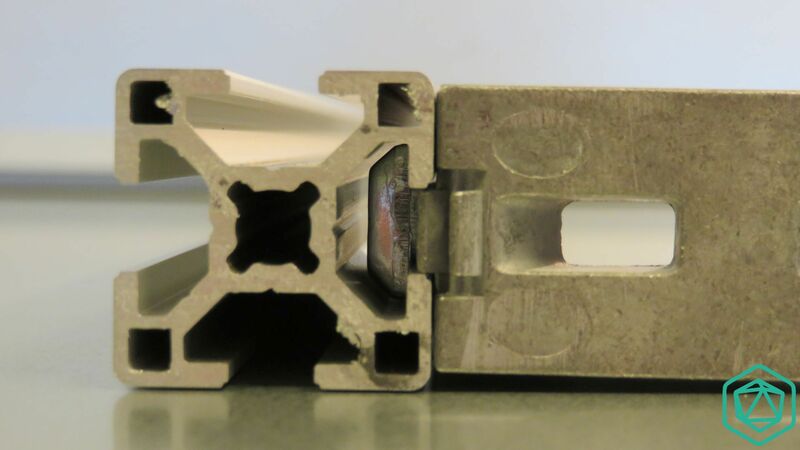 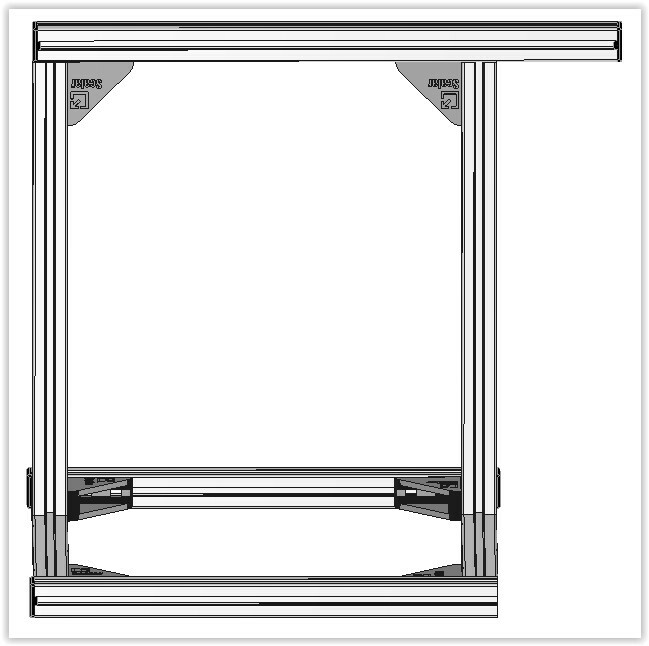 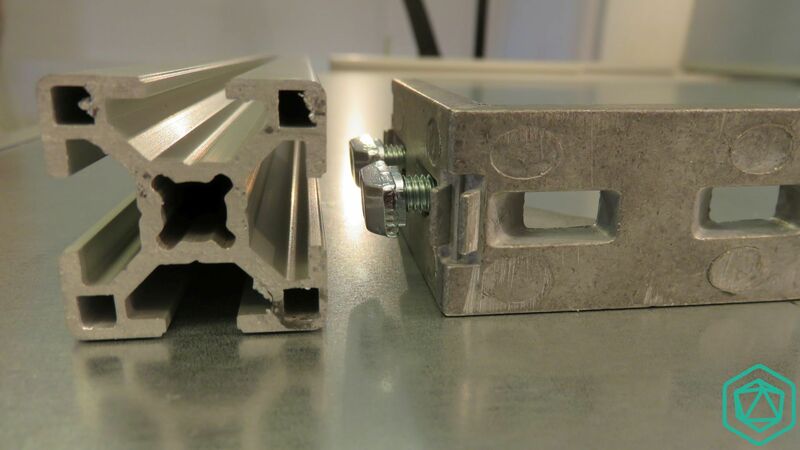 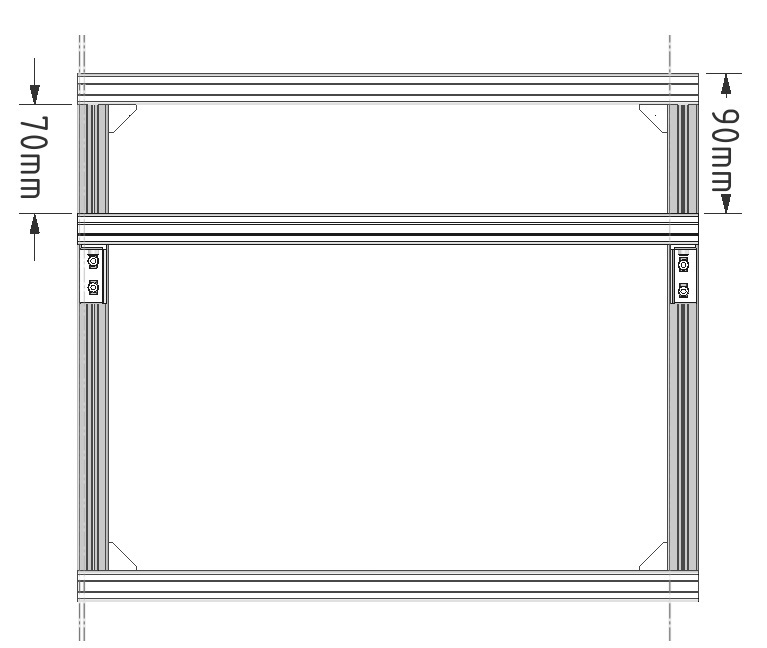 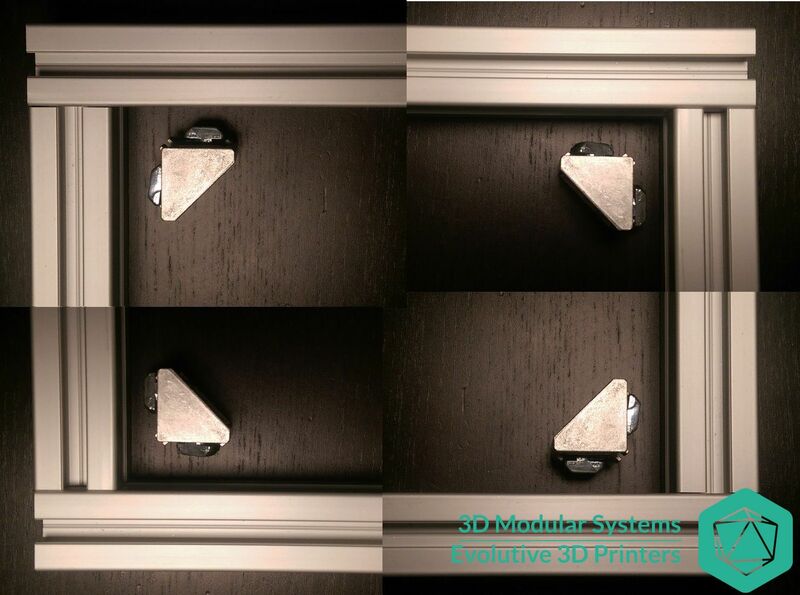 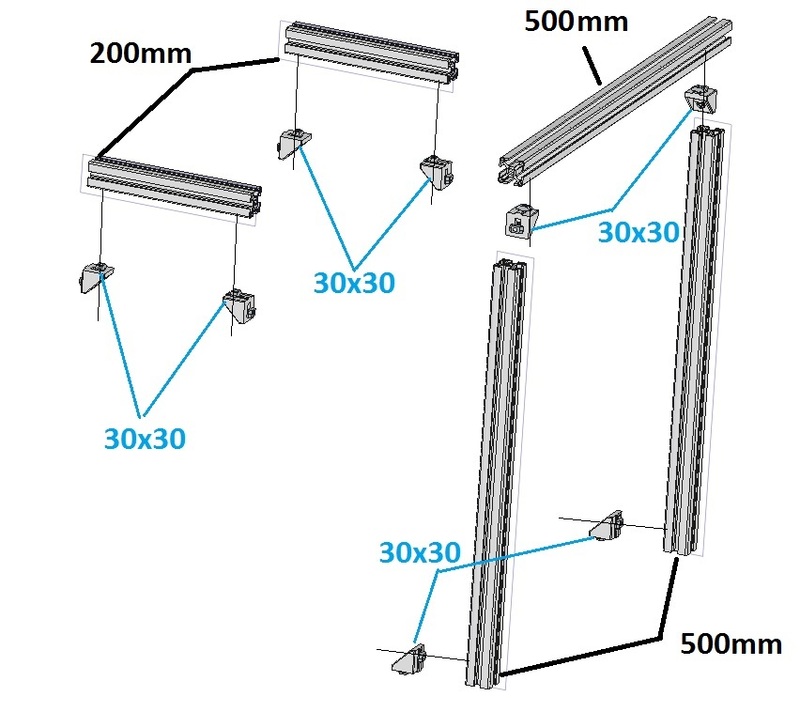 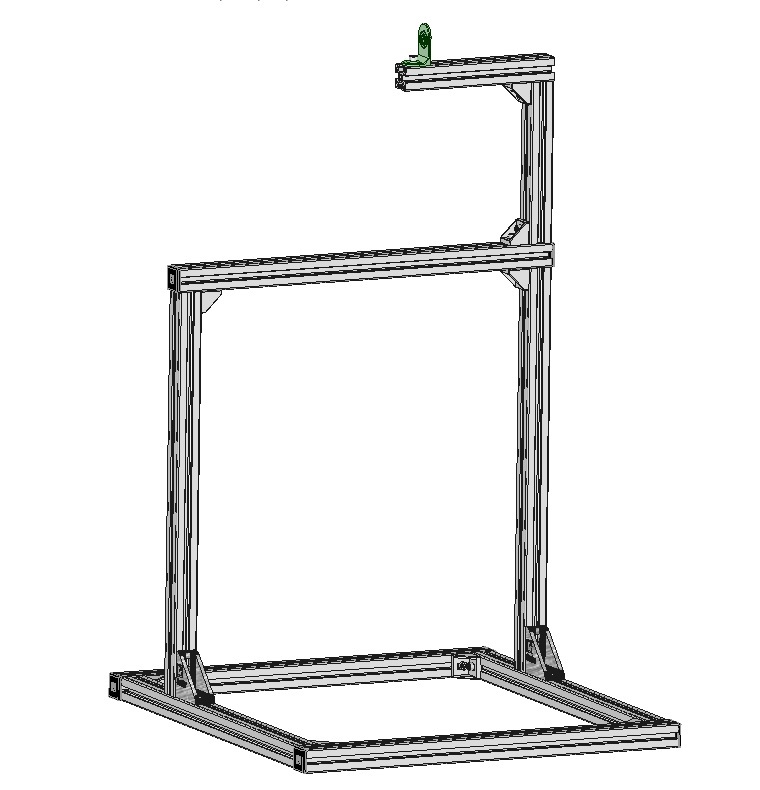 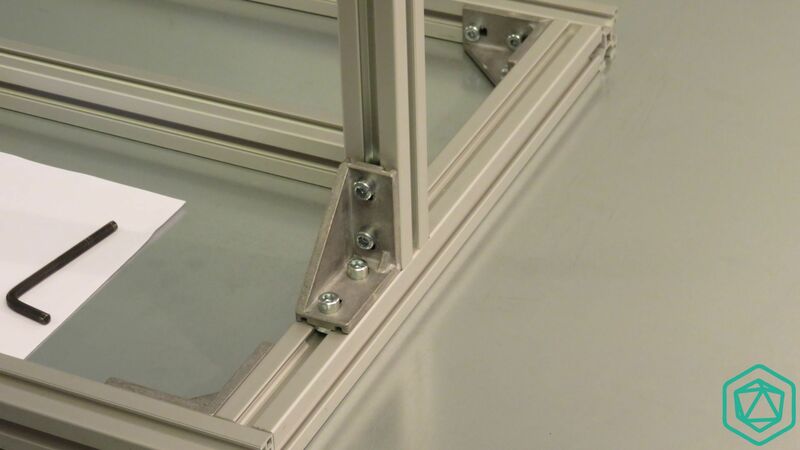 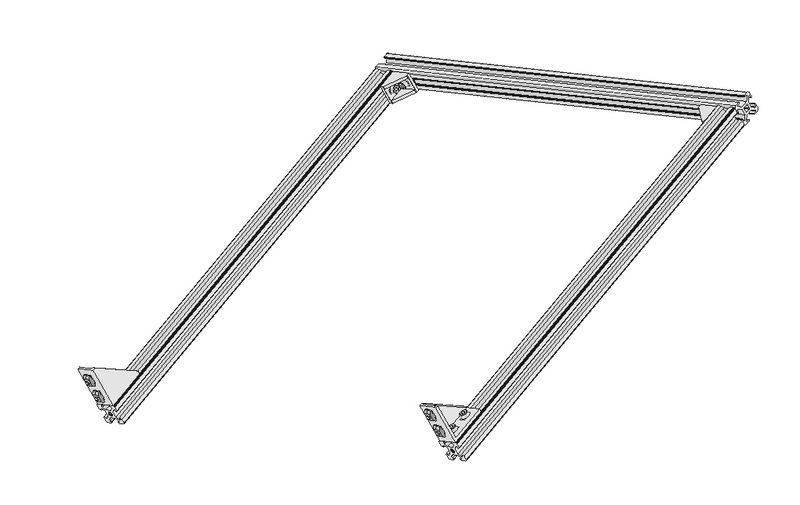 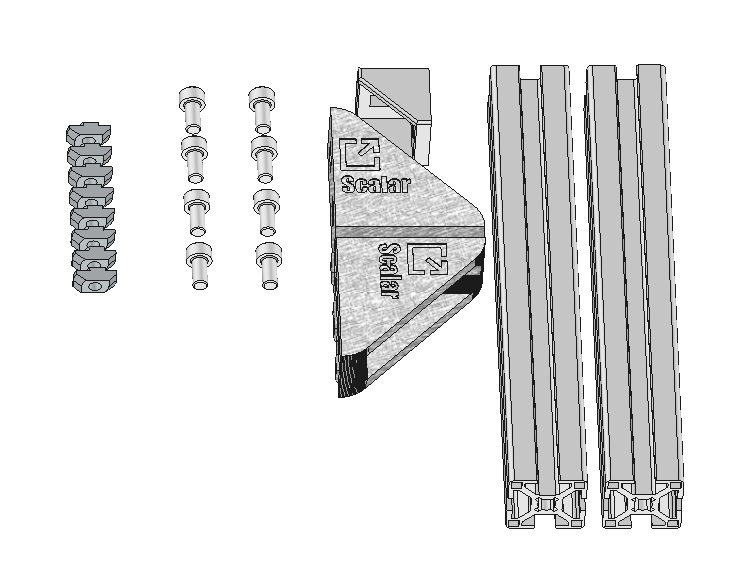 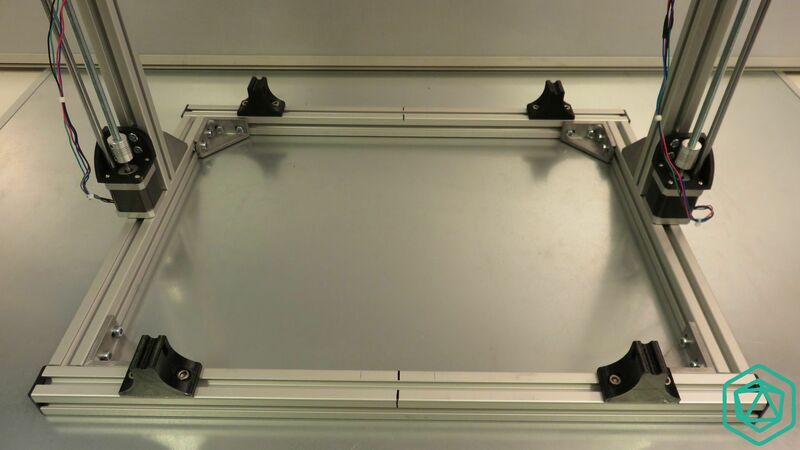 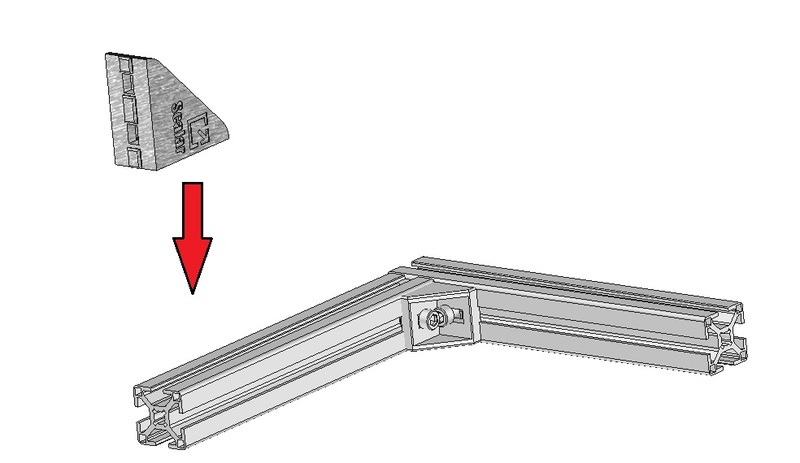 This model allows to close 3 sides of the aluminum extrusion at once. 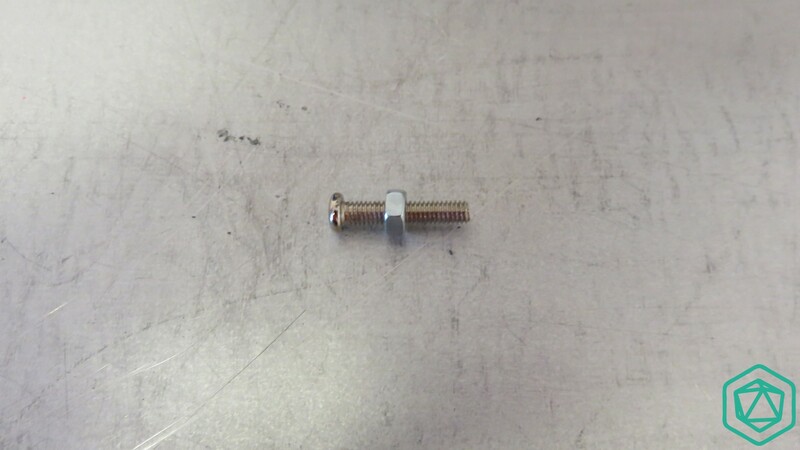 Place it at the other top end of the machine, just behind the power supply module. 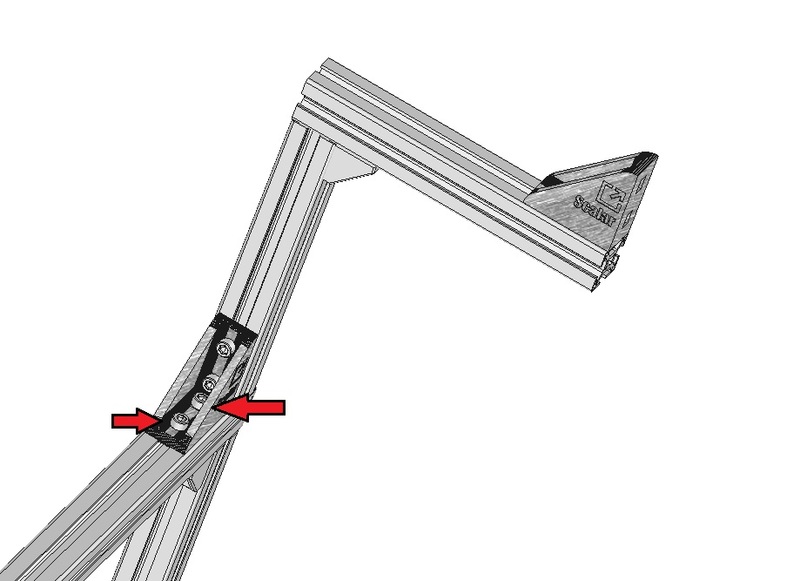 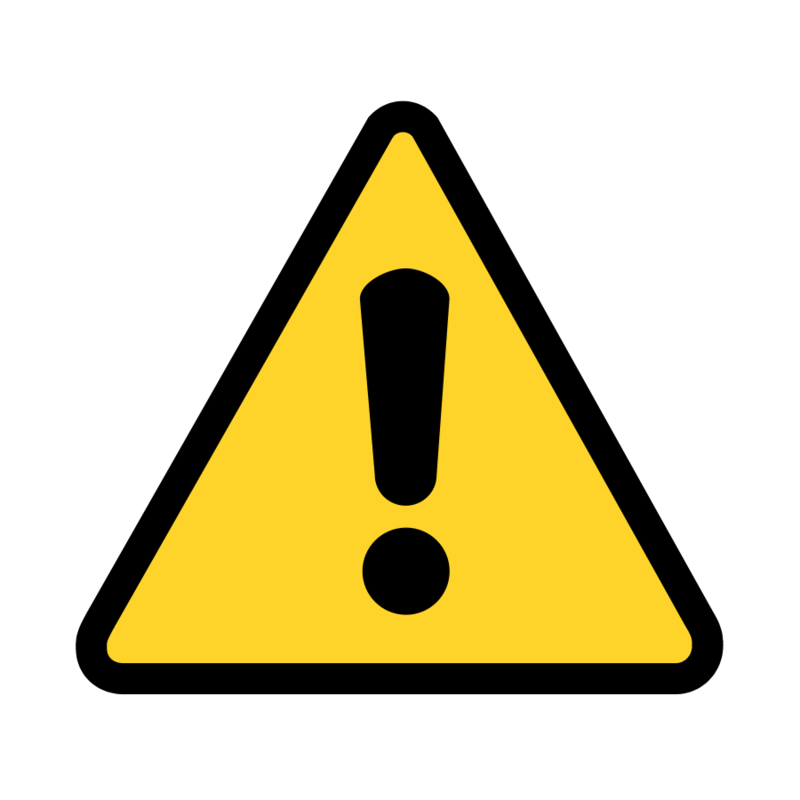 The U shape must allows you to keep in place wires that are on the side where the use of the short clip would be impossible. 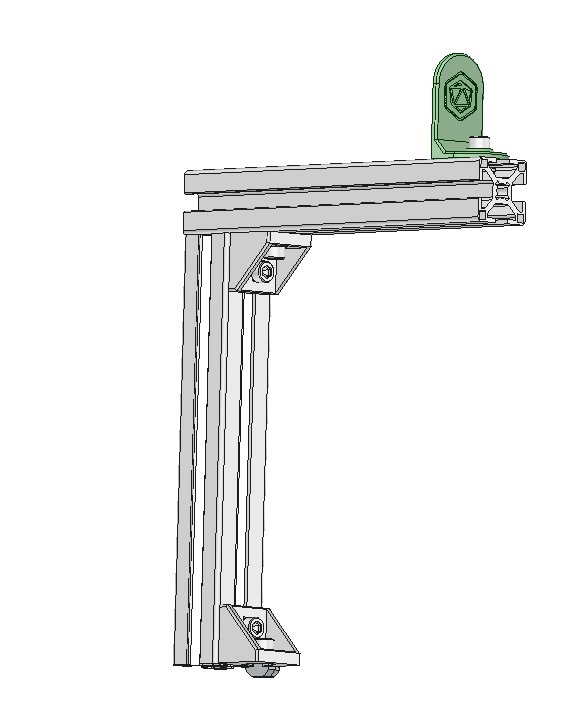 Here, a bottom view showing the long clip in place. 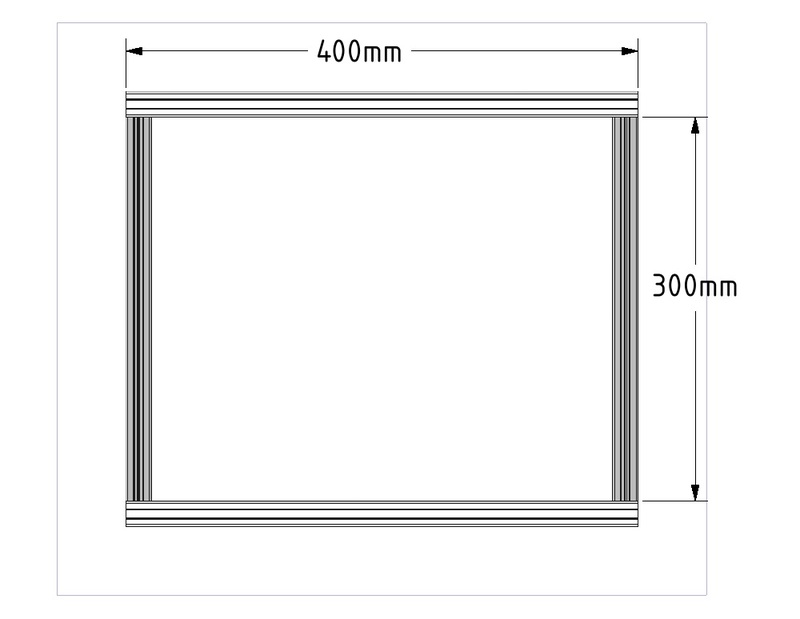 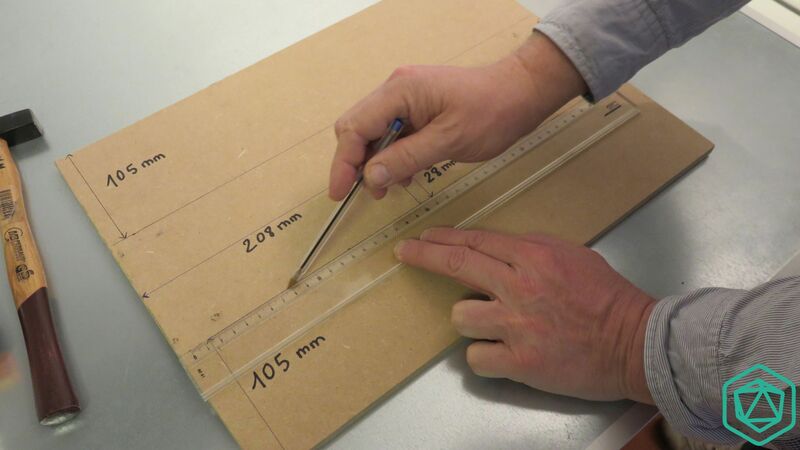 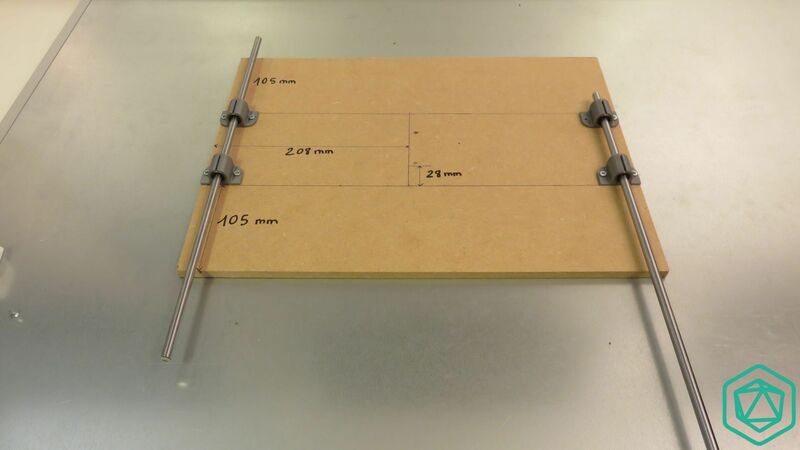 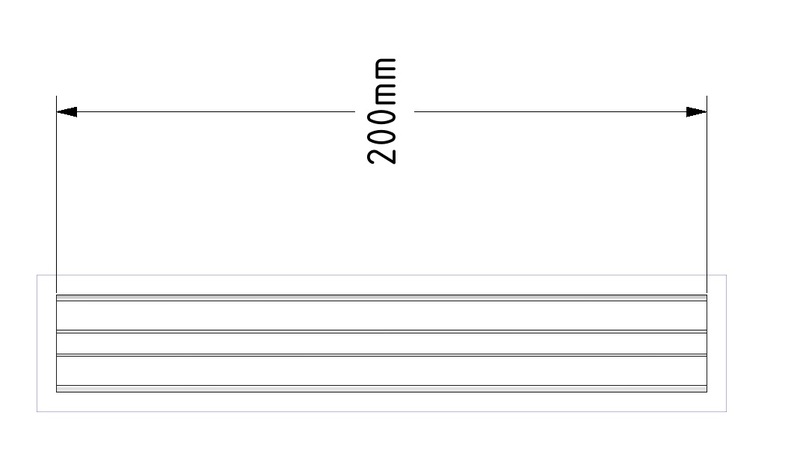 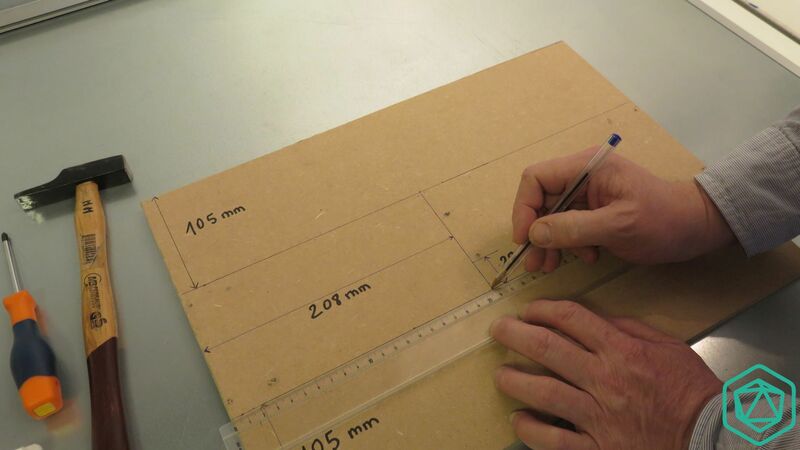 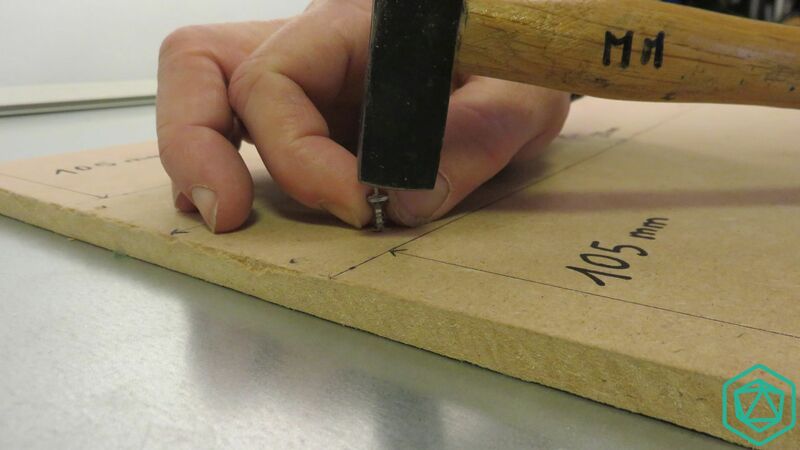 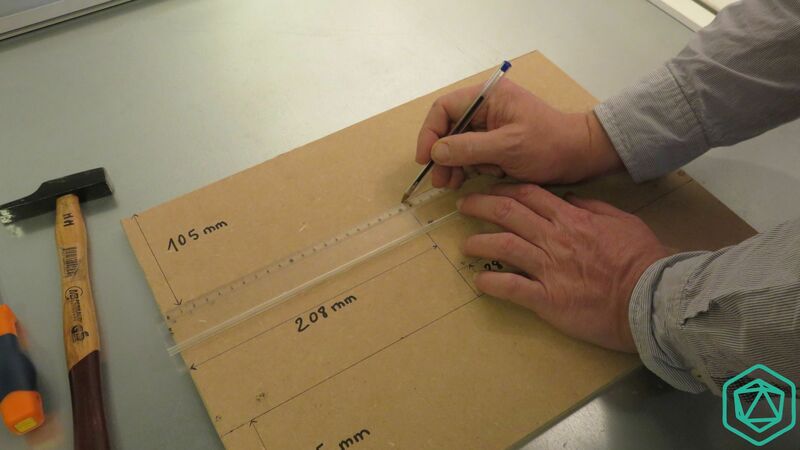 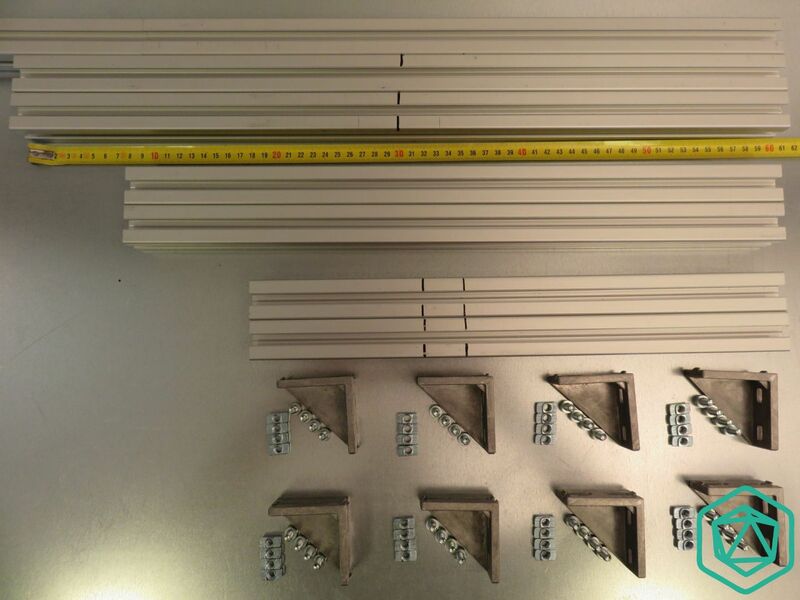 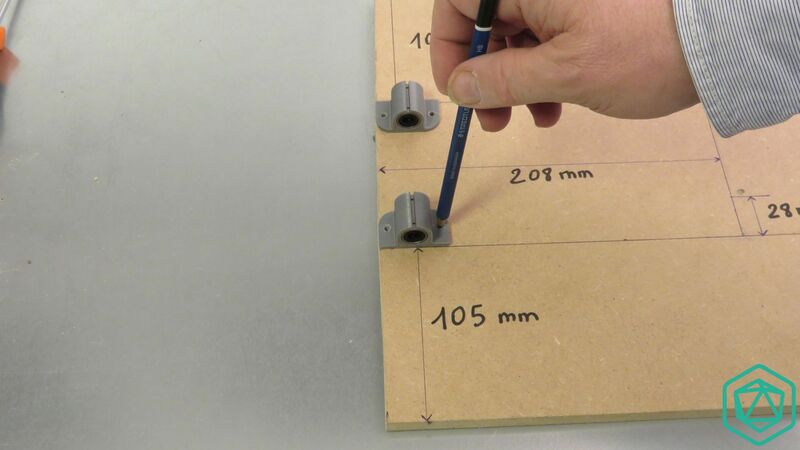 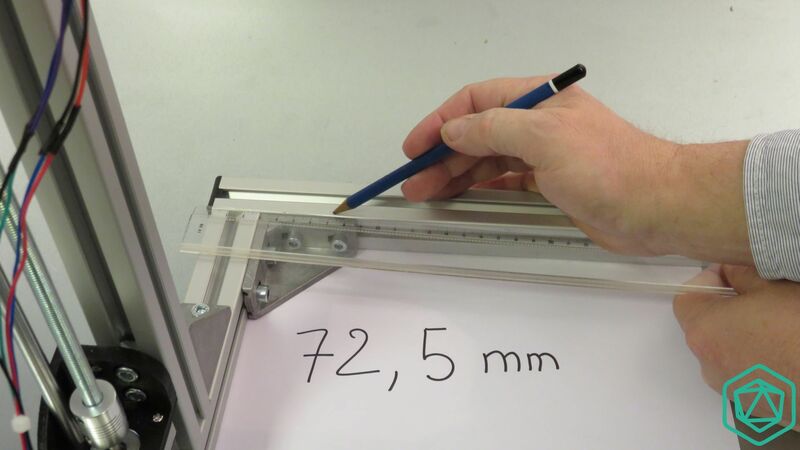 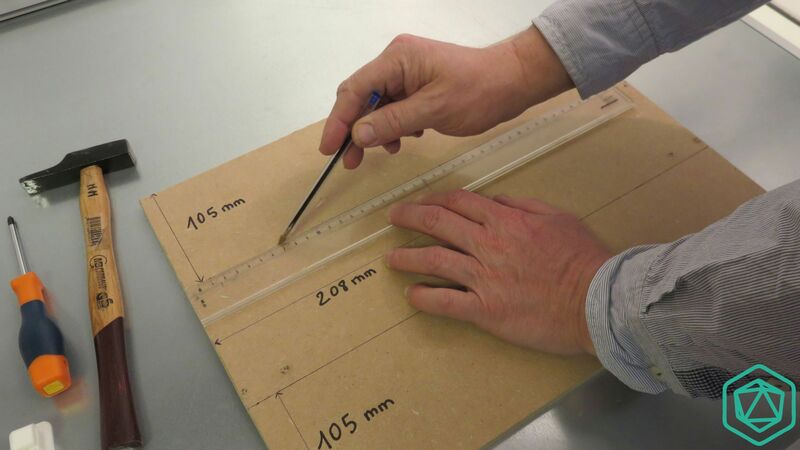 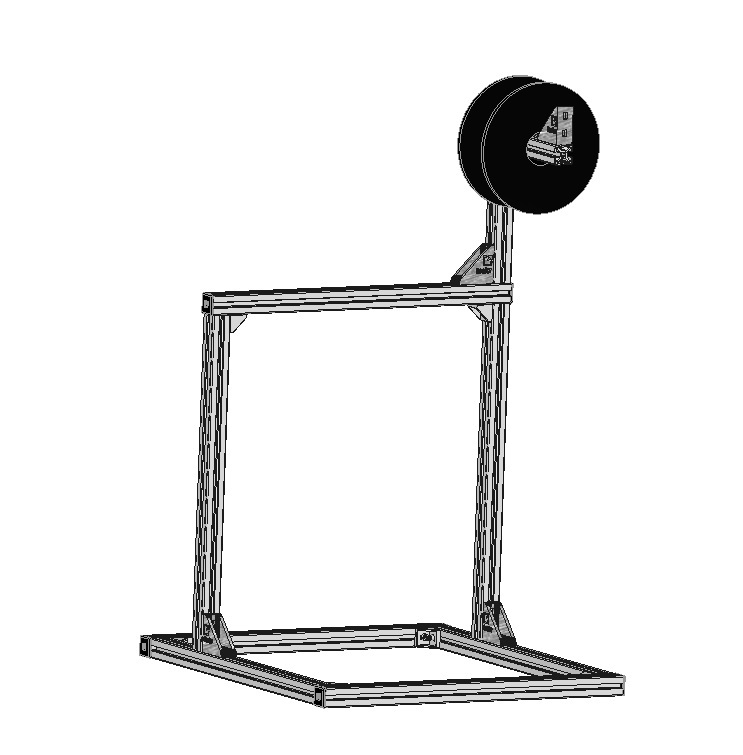 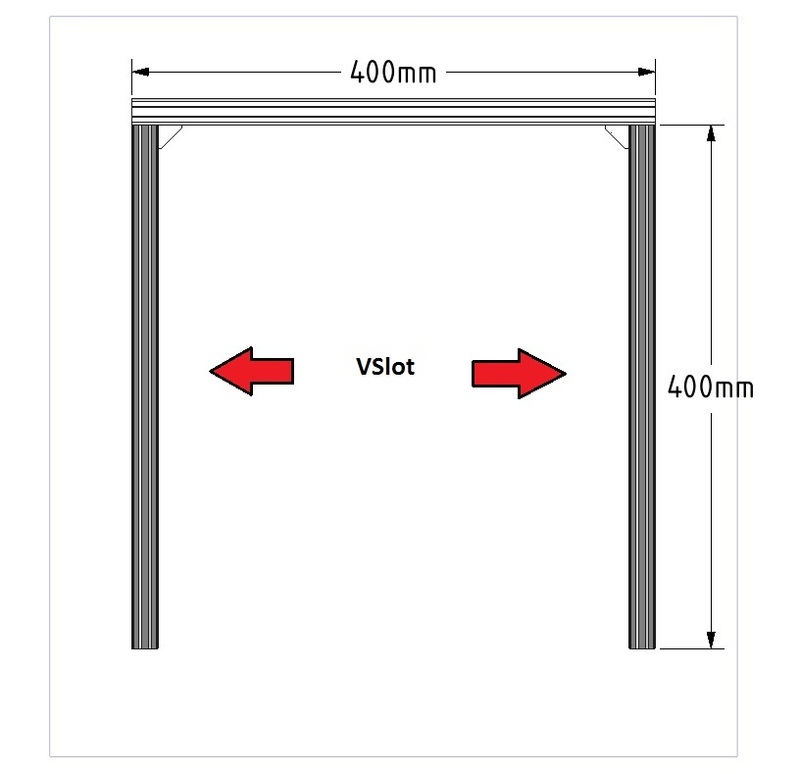 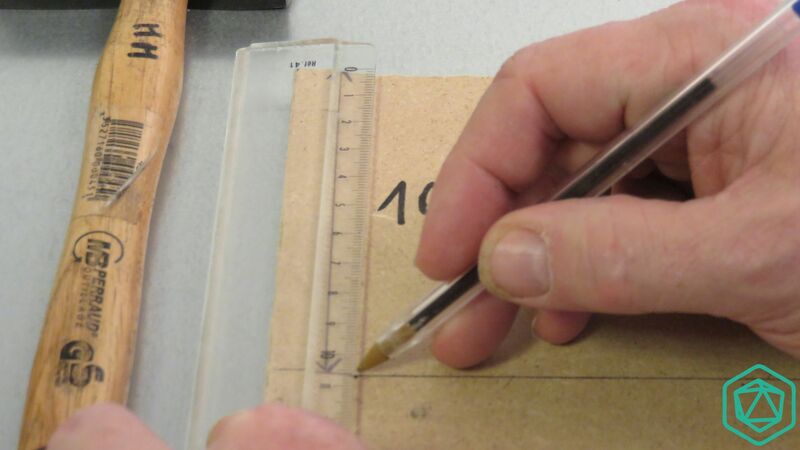 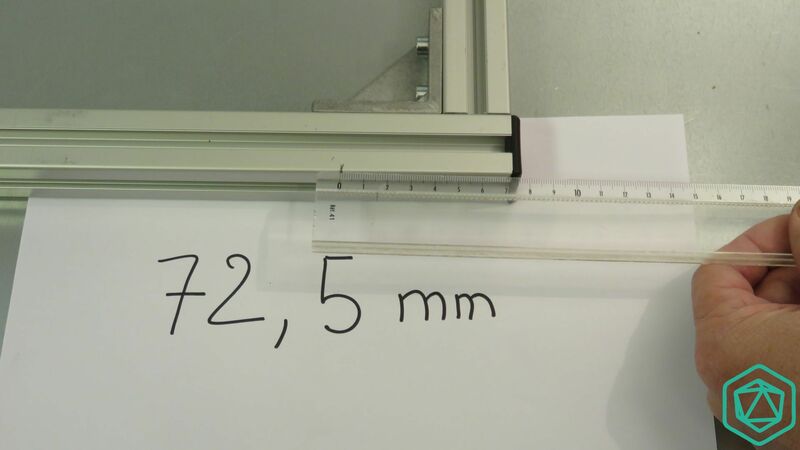 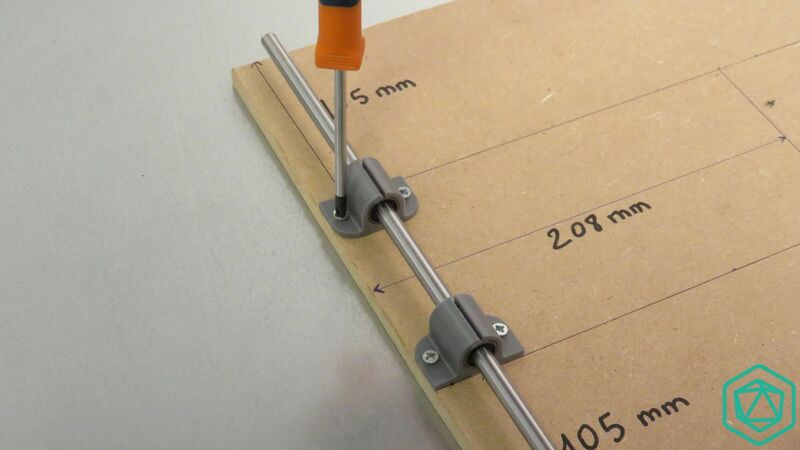 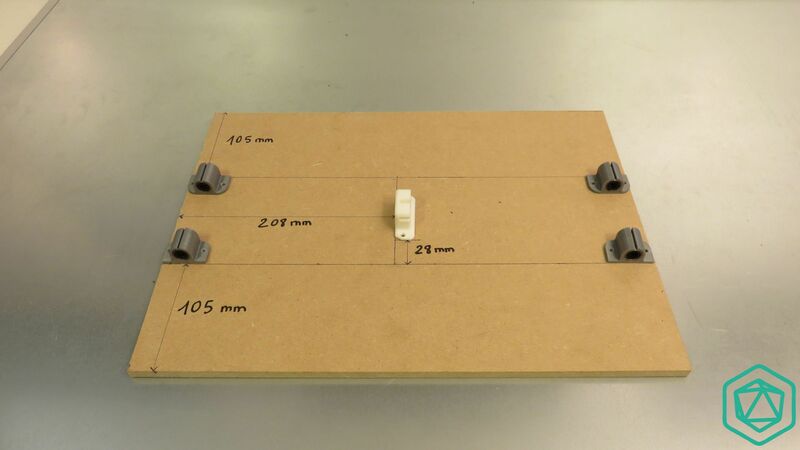 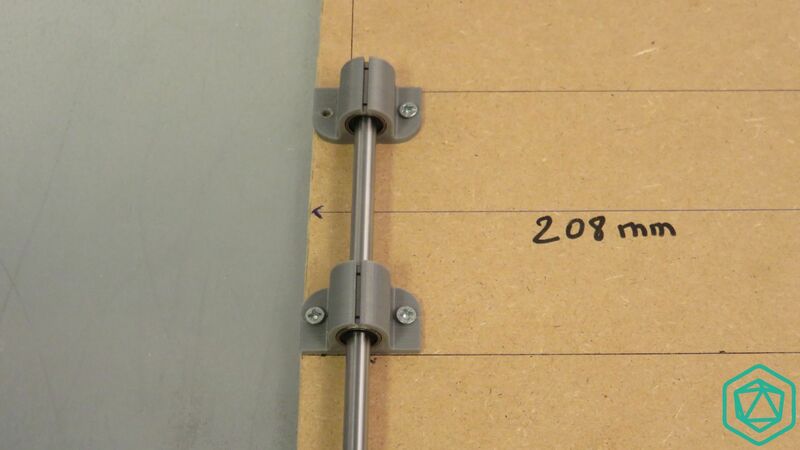 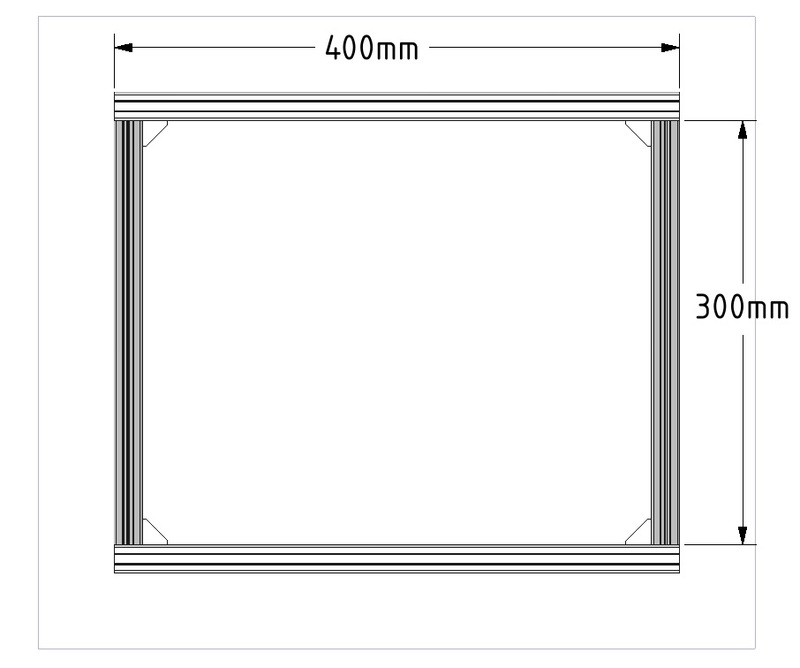 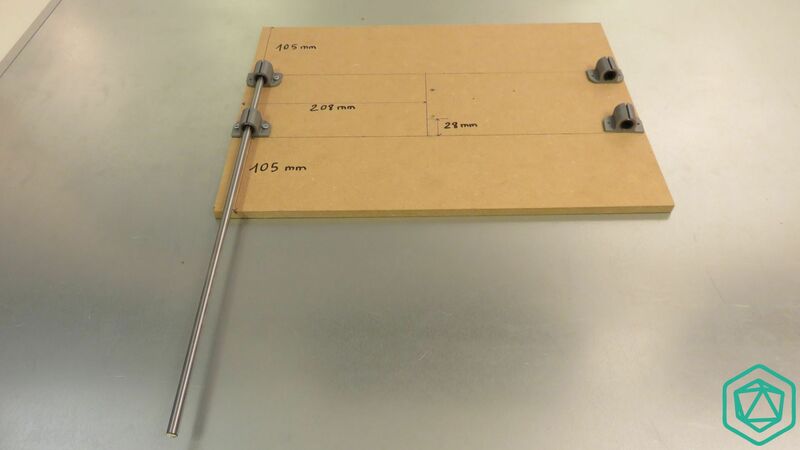 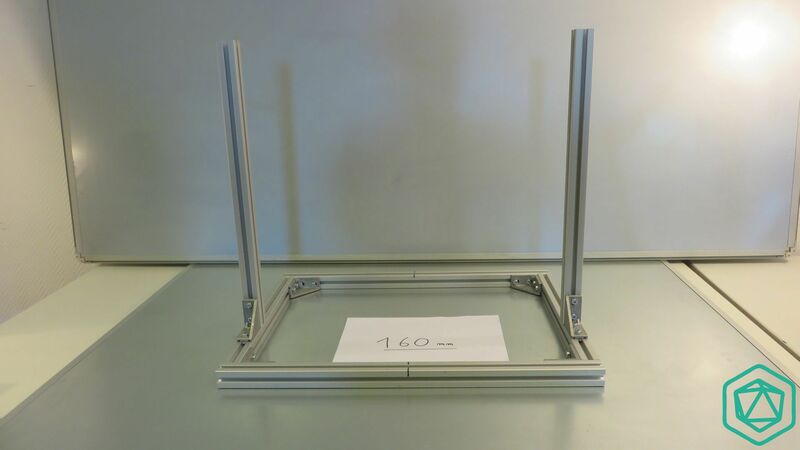 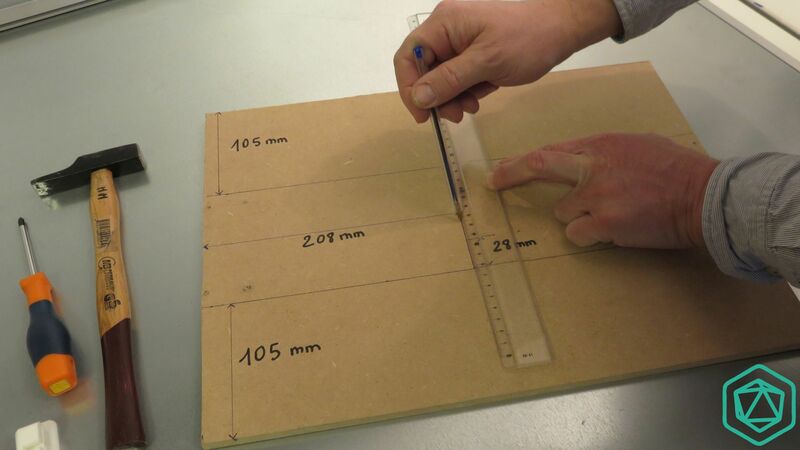 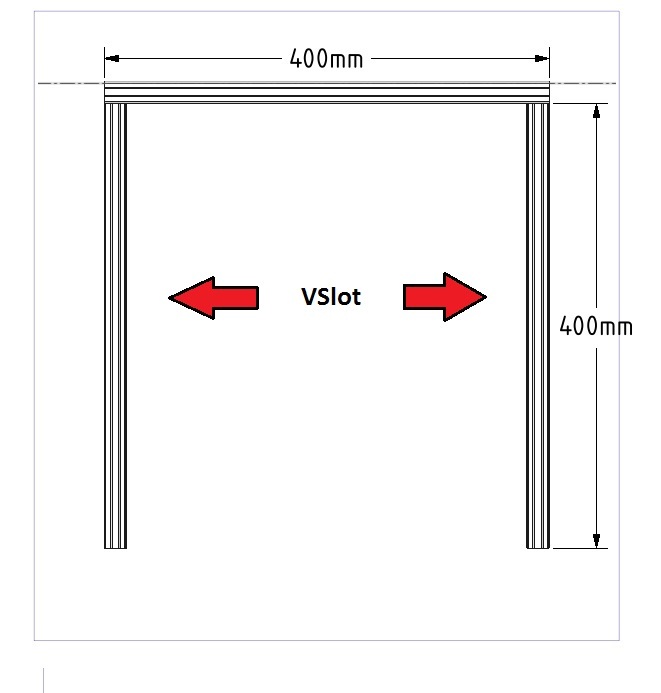 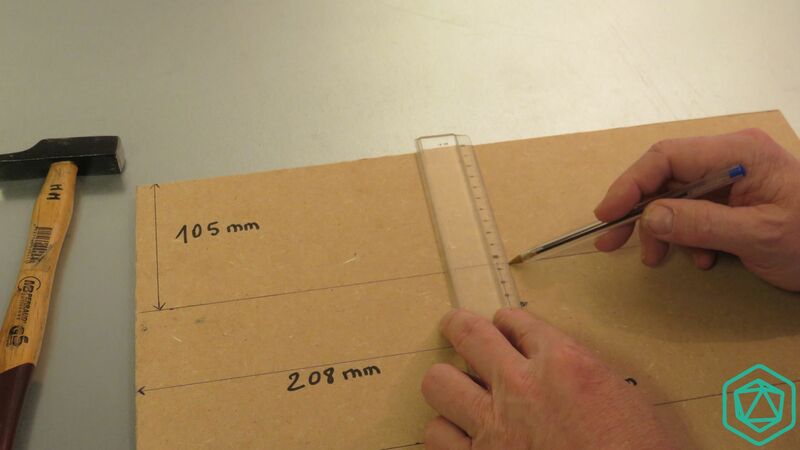 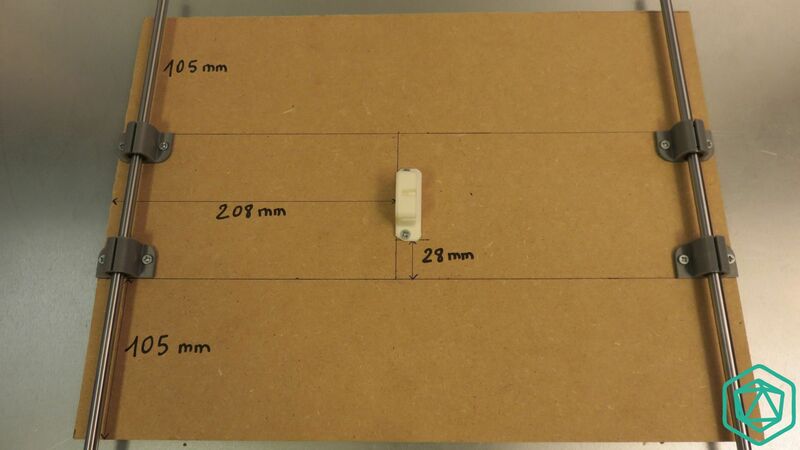 You now need the spool holder with the « X10″ marking » . 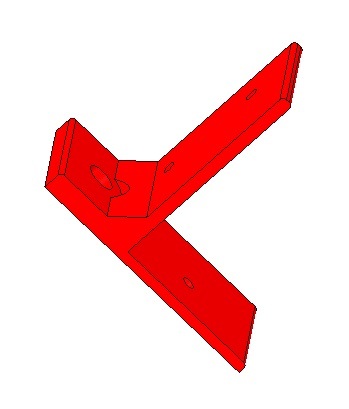 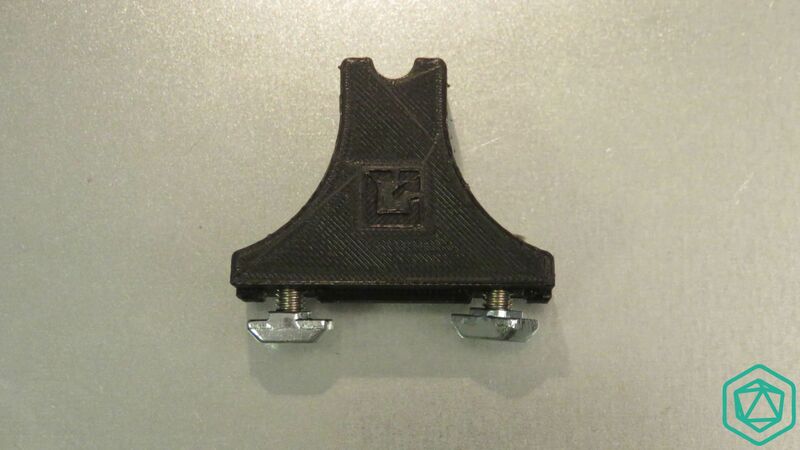 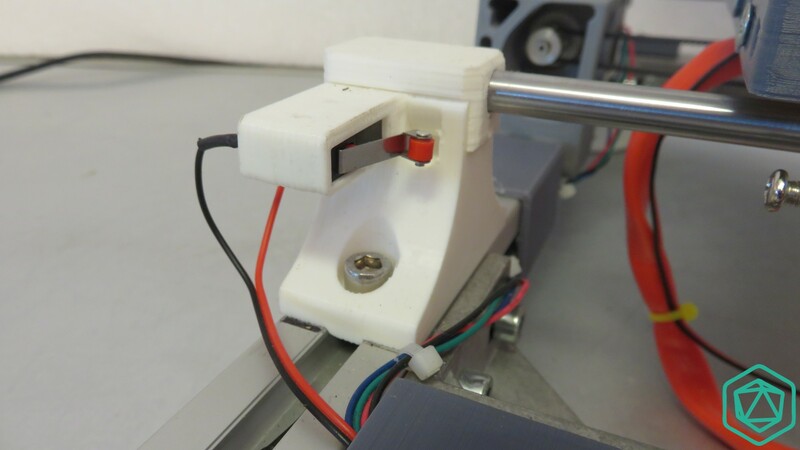 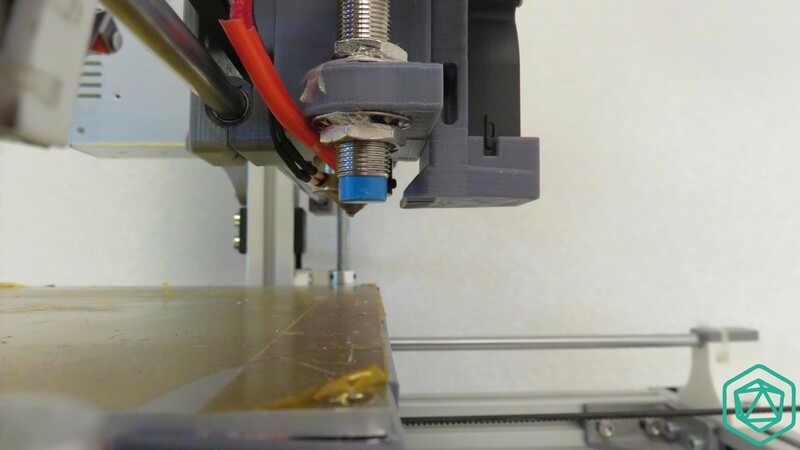 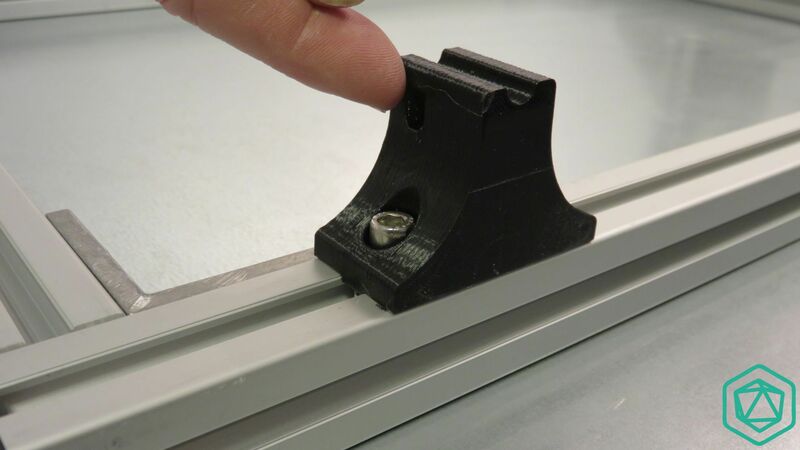 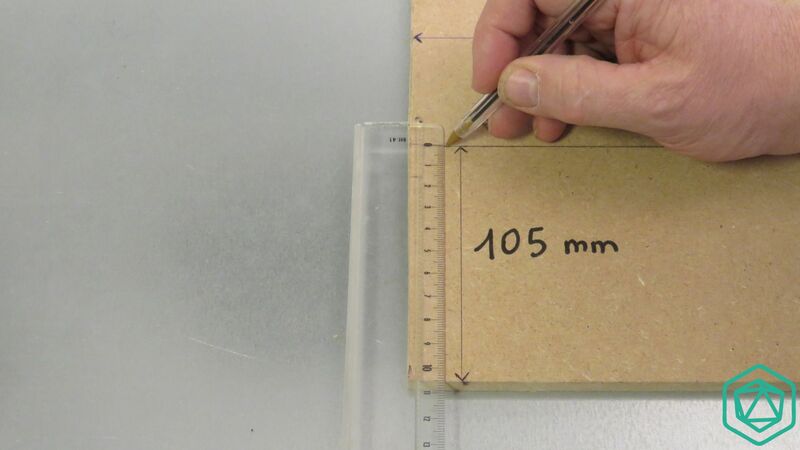 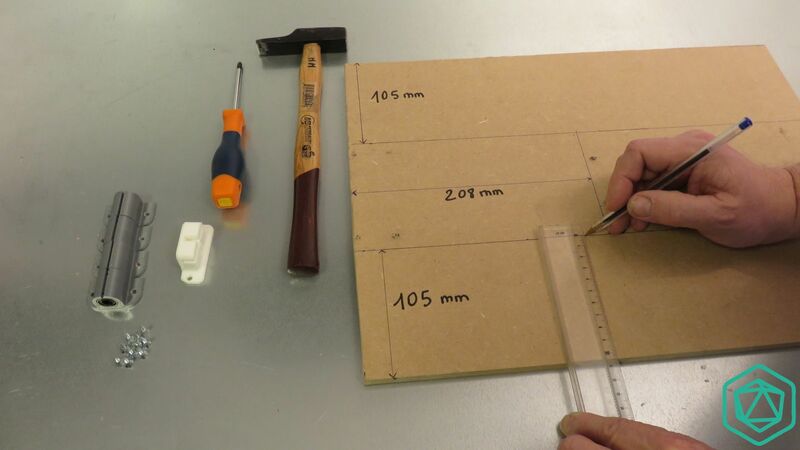 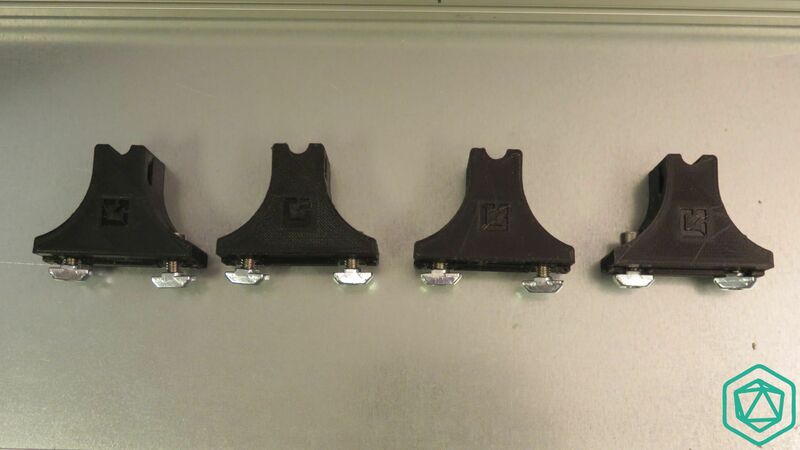 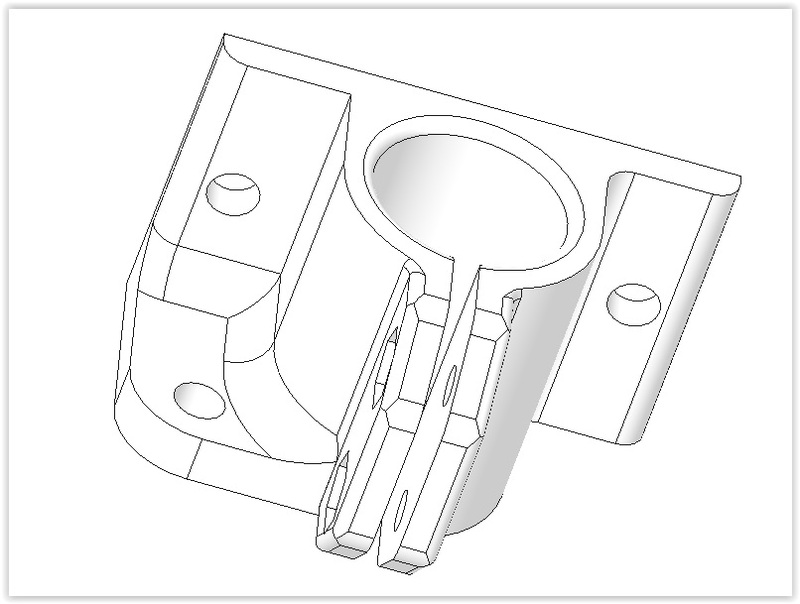 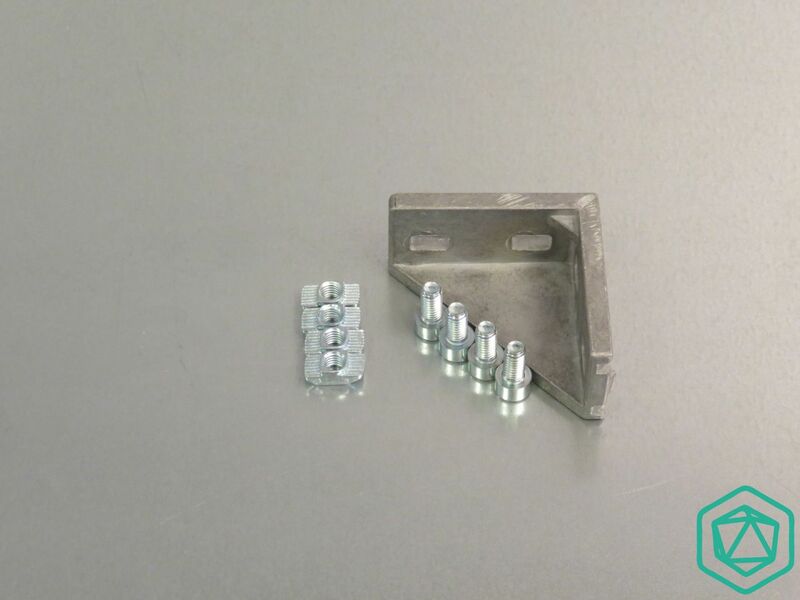 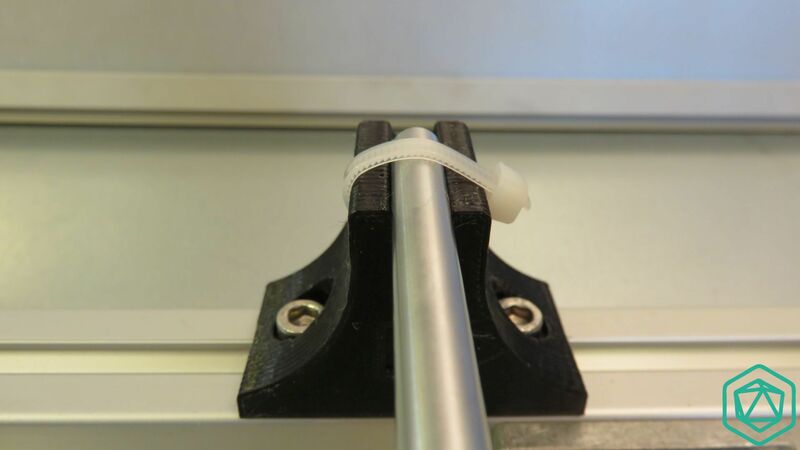 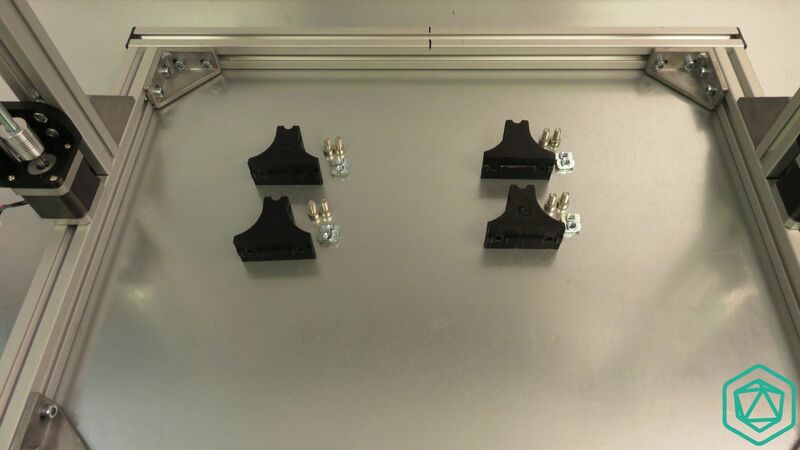 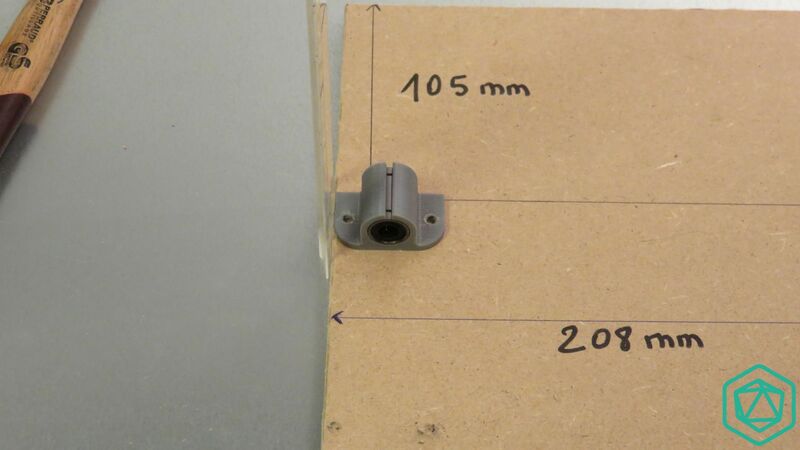 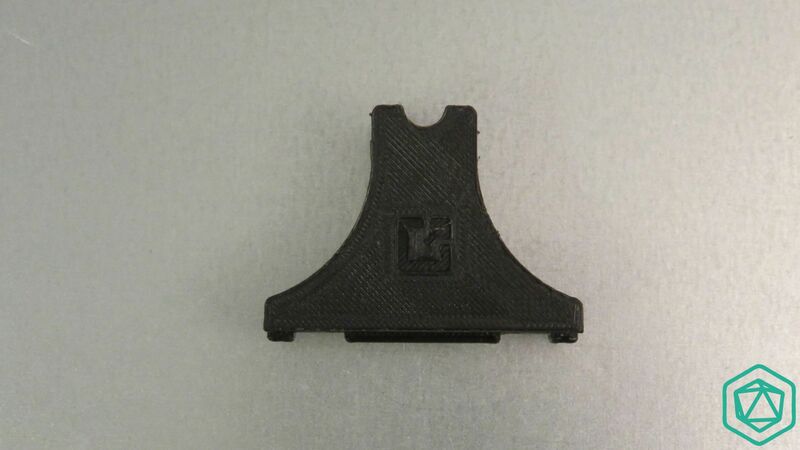 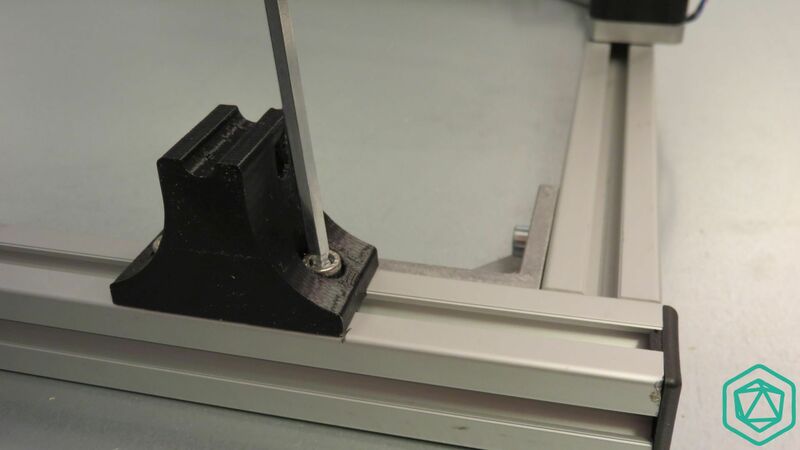 This plastic part’s purpose is to hold and keep in place the plastic filament during printing. 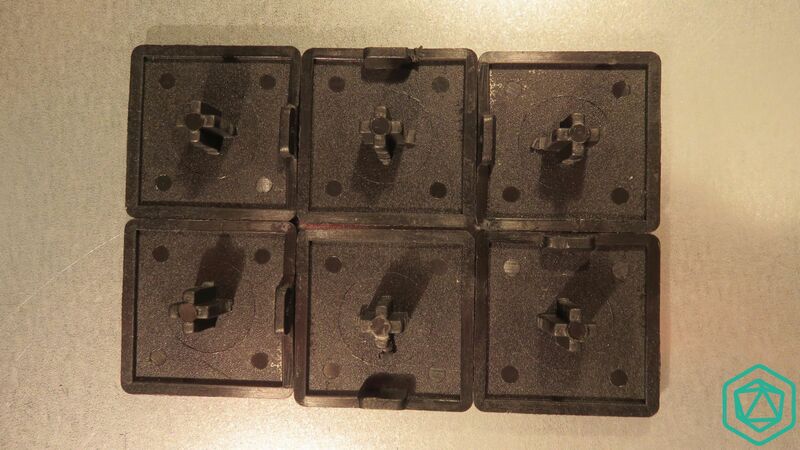 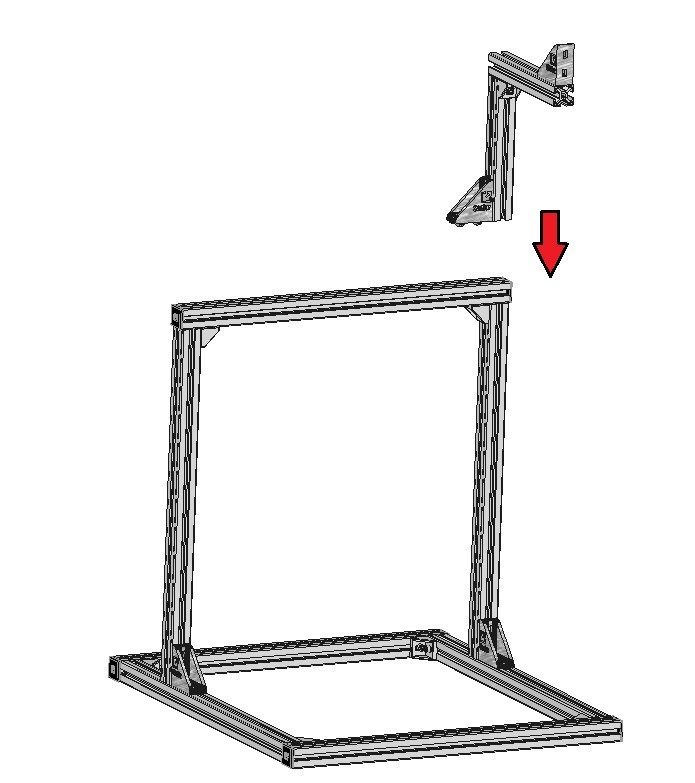 Place it on the side as shown on the picture, perpendicular to the power supply module. 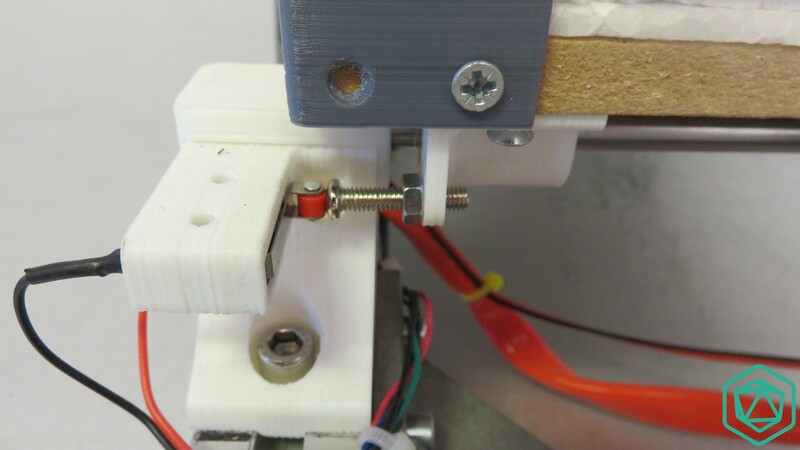 The best is to place it as close as possible from the extruder (so to the top of the machine) . 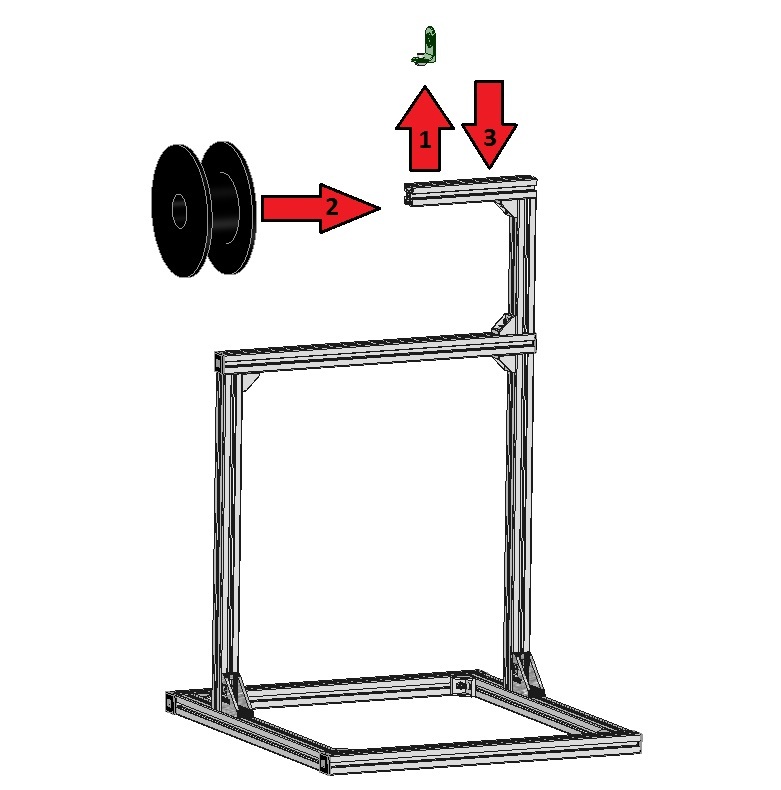 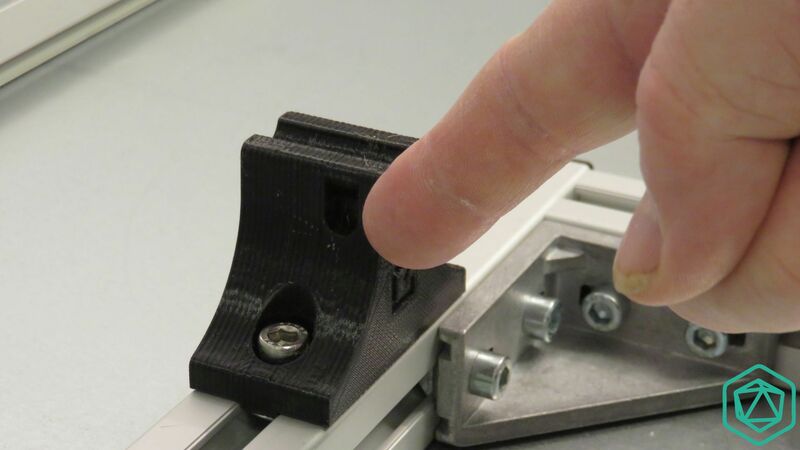 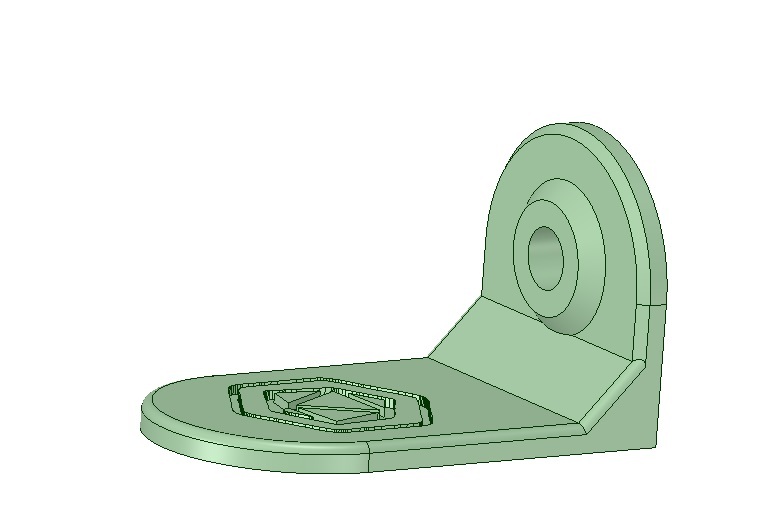 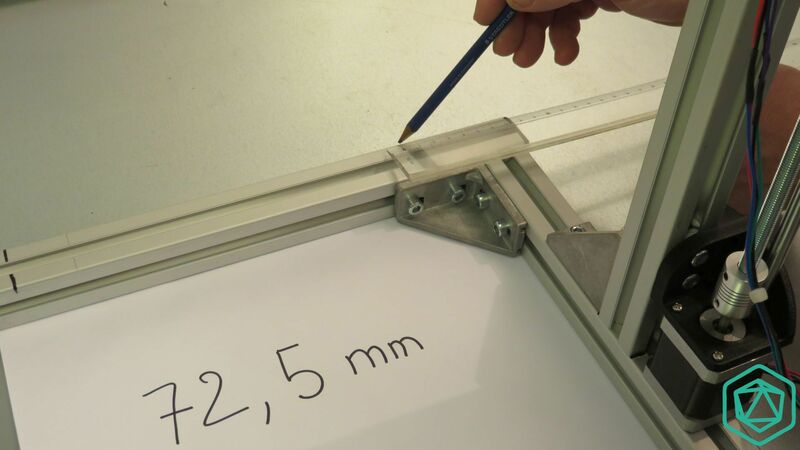 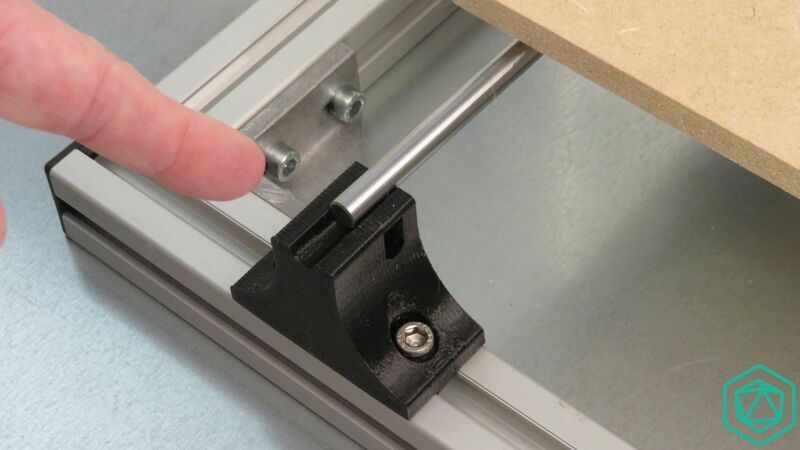 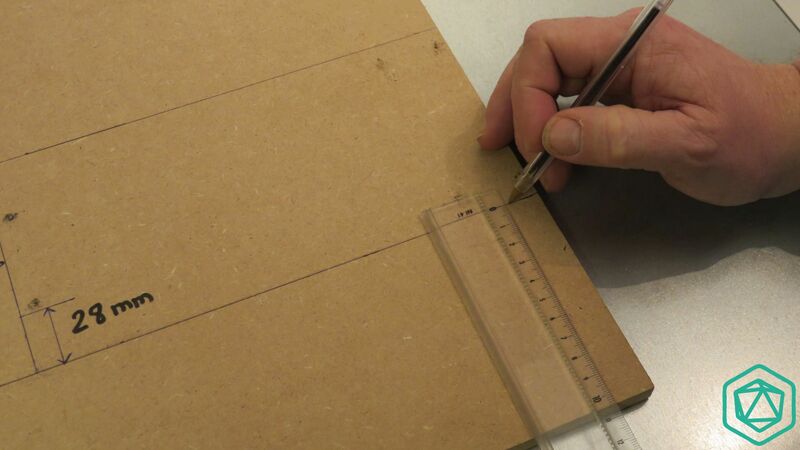 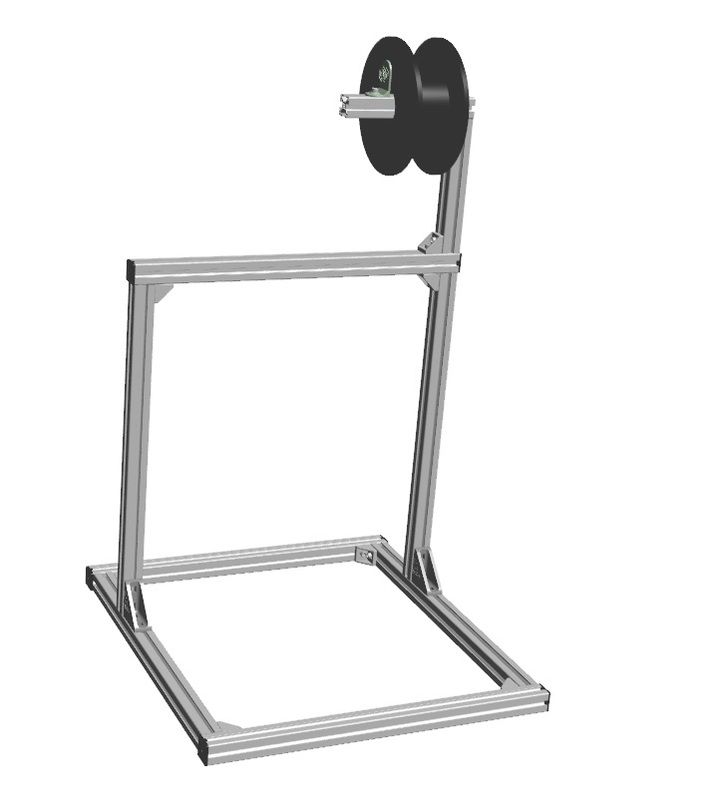 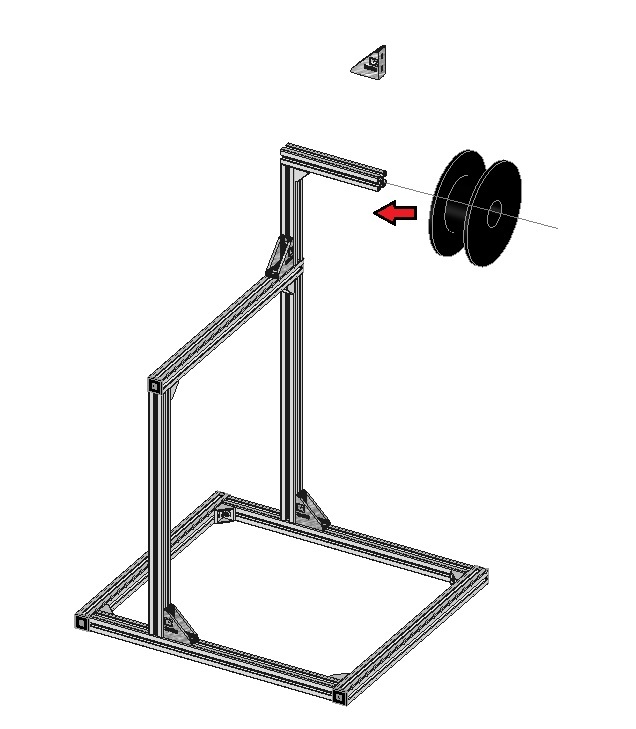 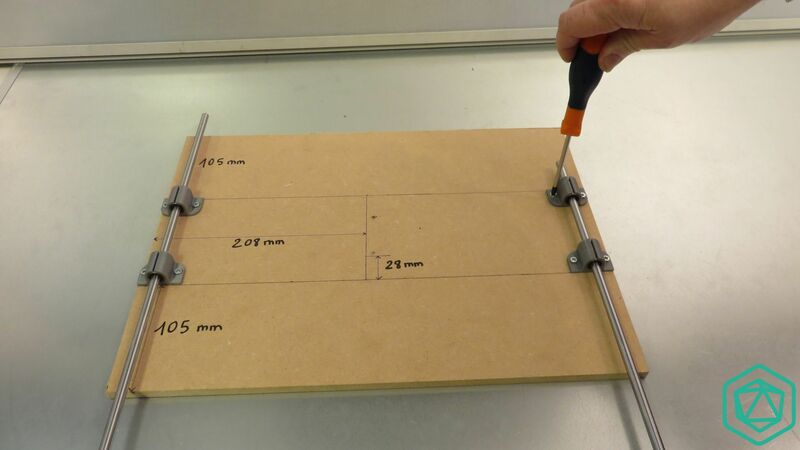 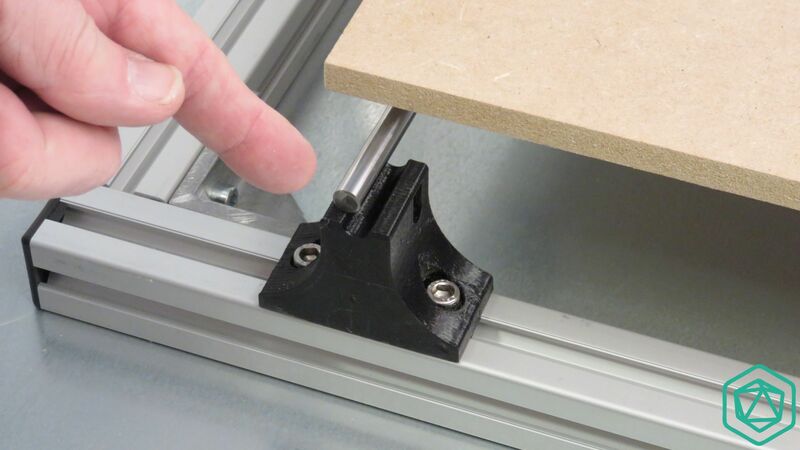 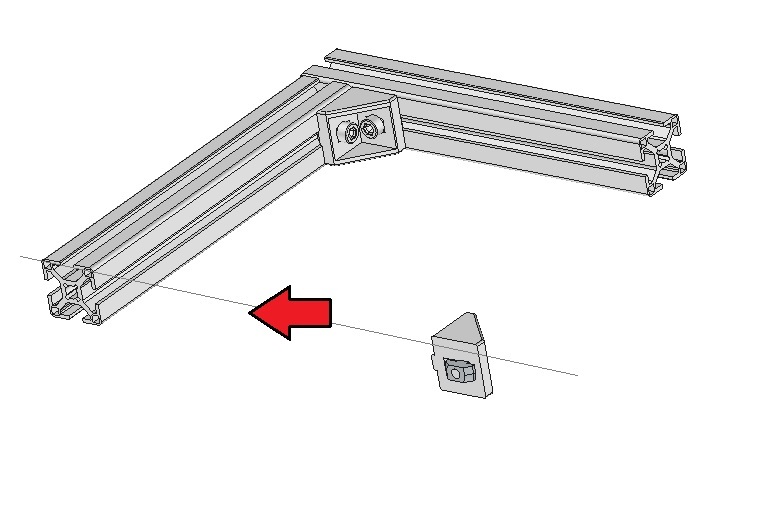 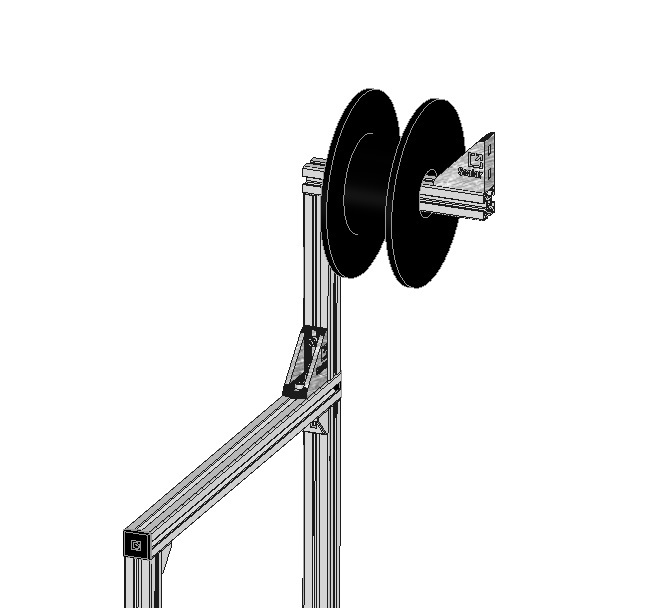 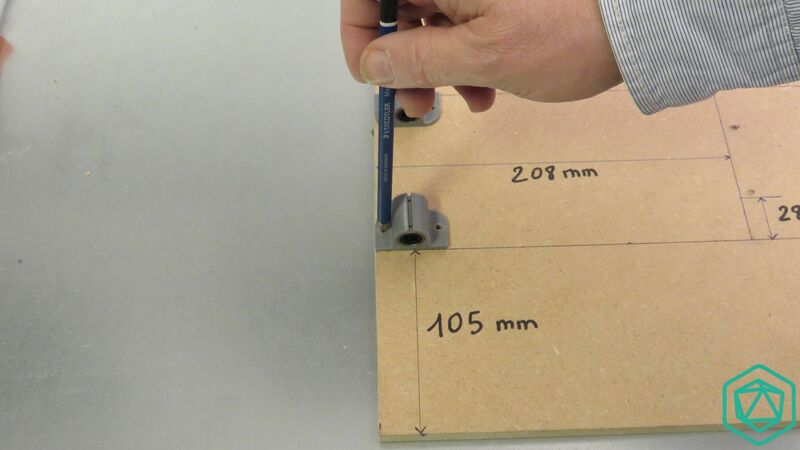 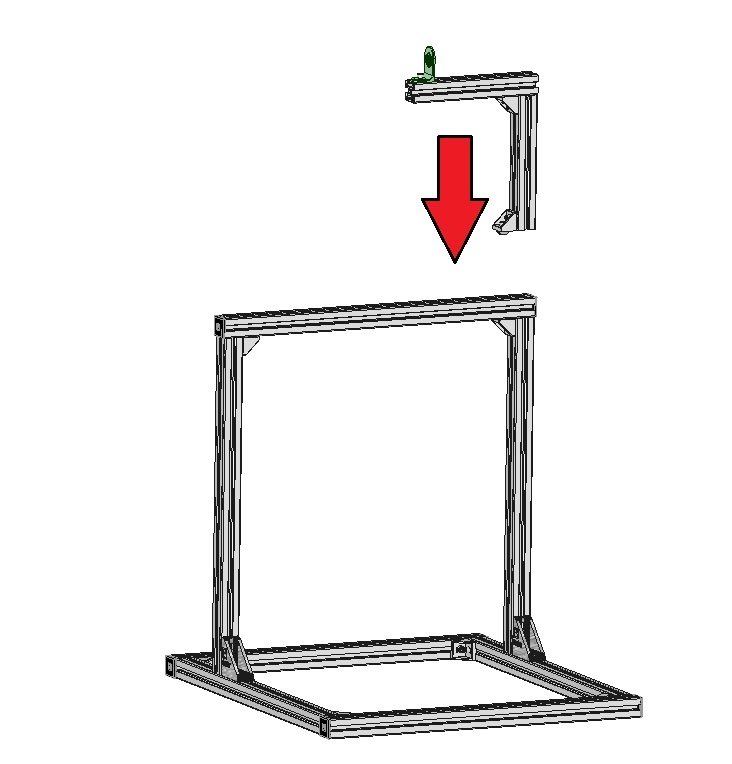 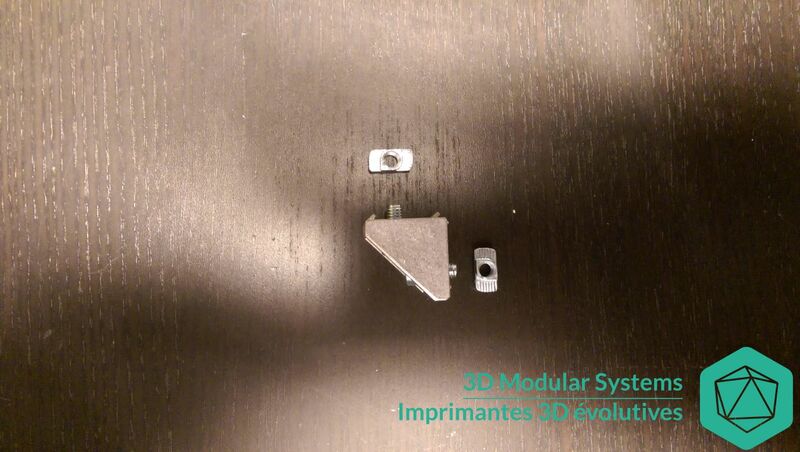 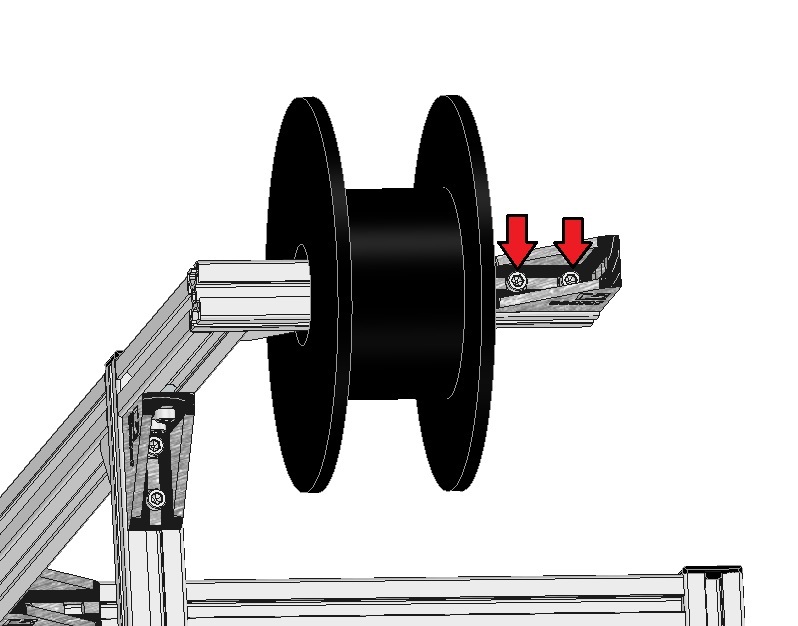 Here the inclined position should help you to align the T-Nuts with the fixation holes of the spool holder. 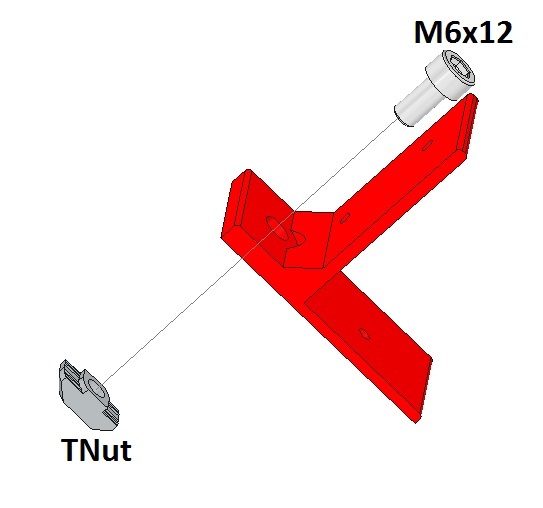 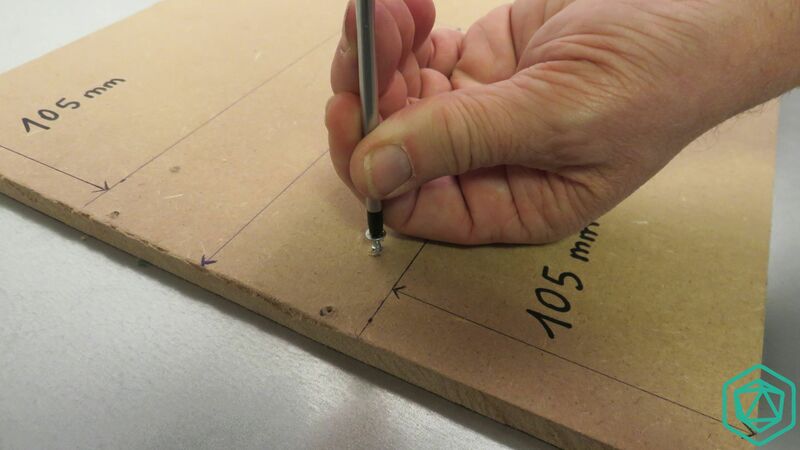 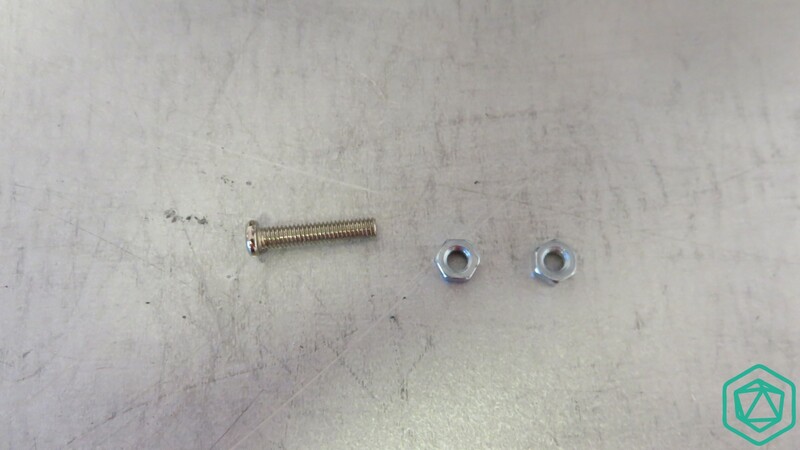 You can use a small screw diver to keep the T-Nut in place while inserting the M6 screw. 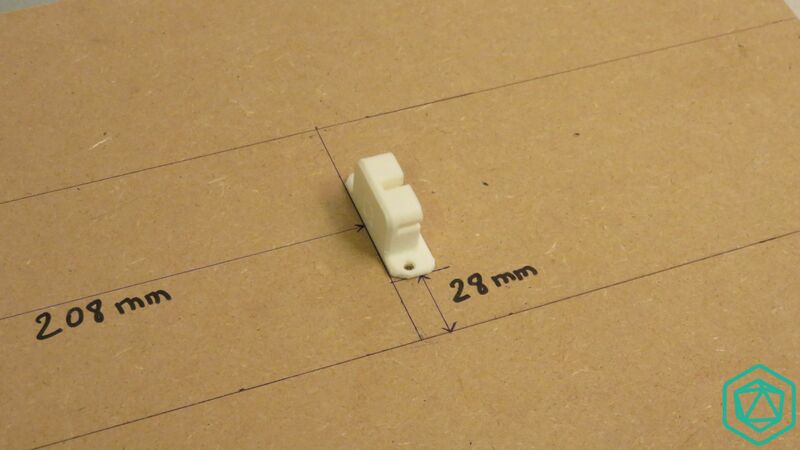 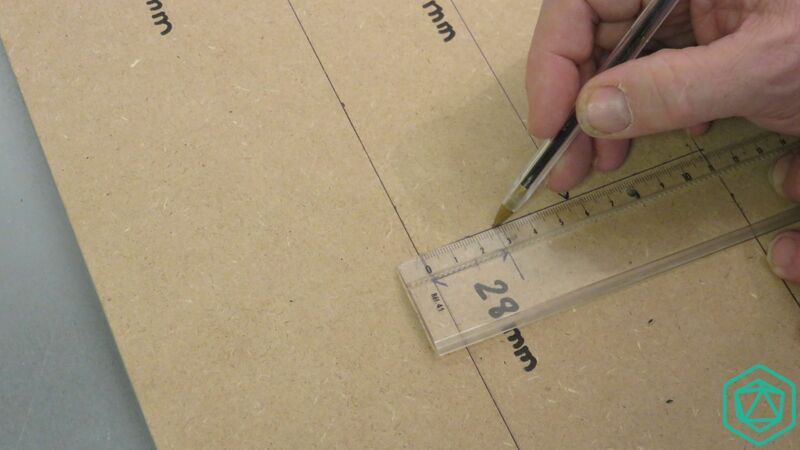 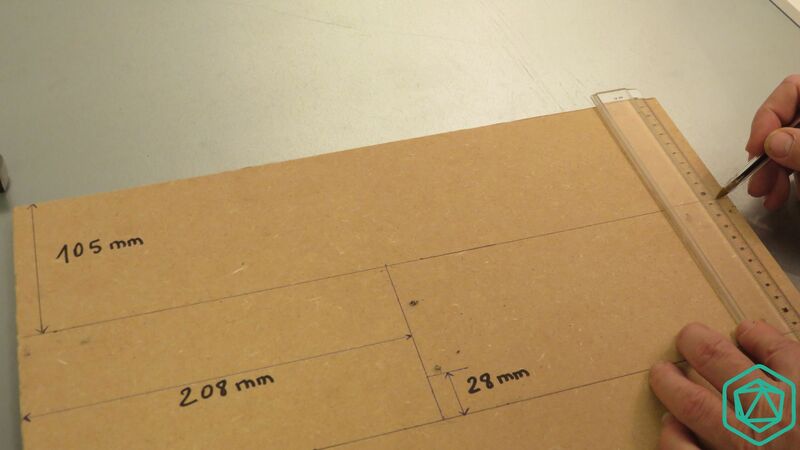 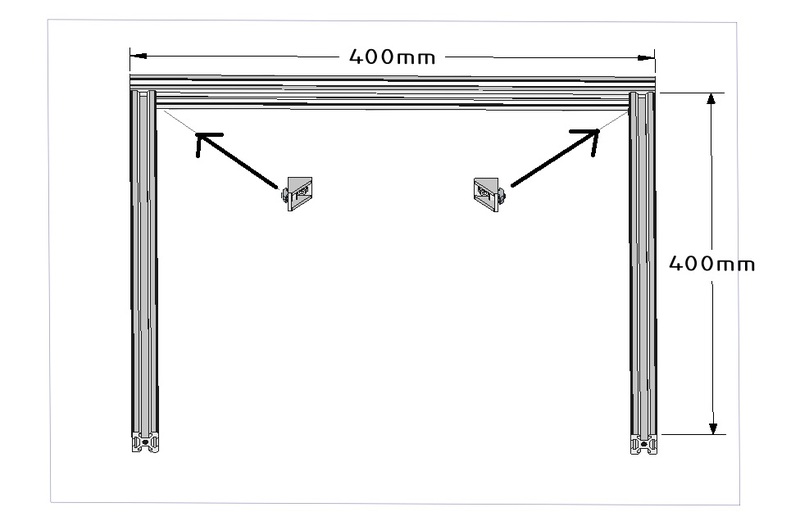 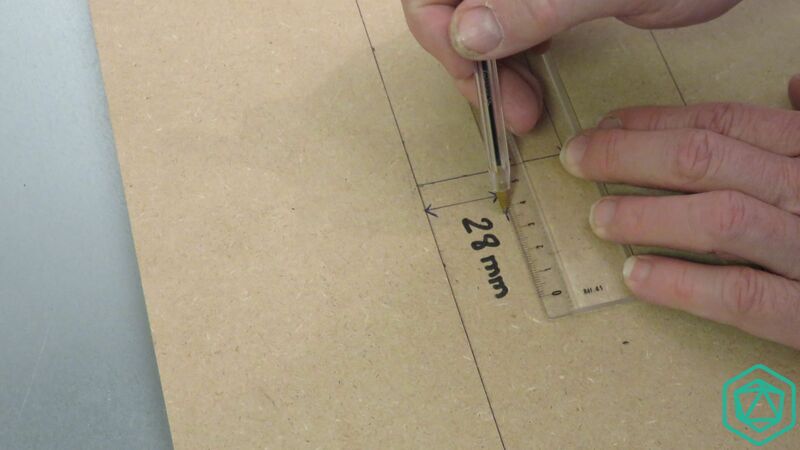 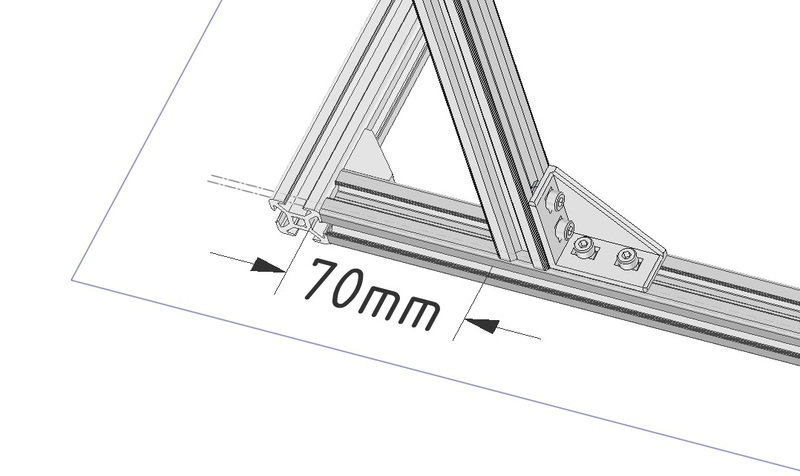 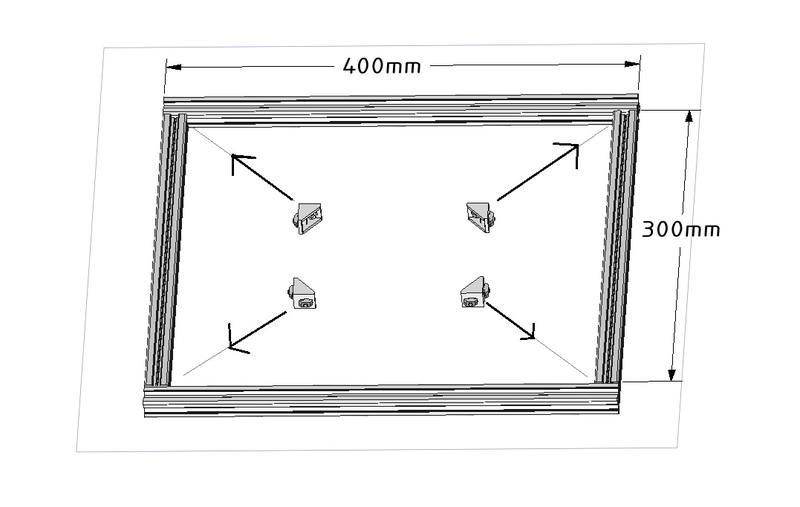 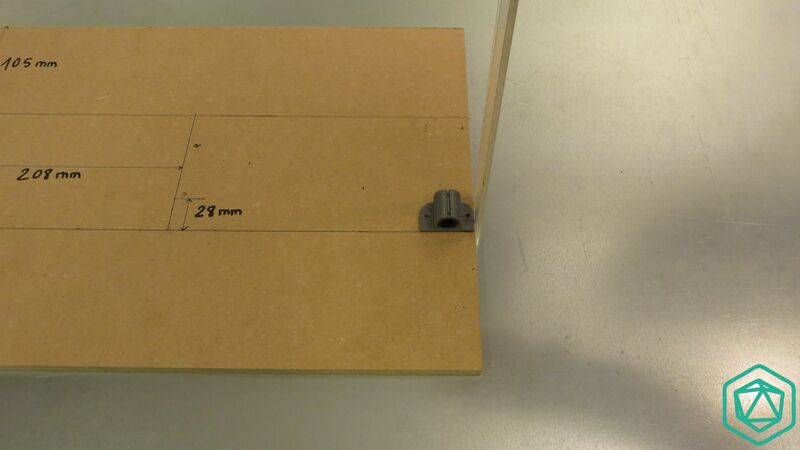 Once in place, just add the M6X12mm screw. 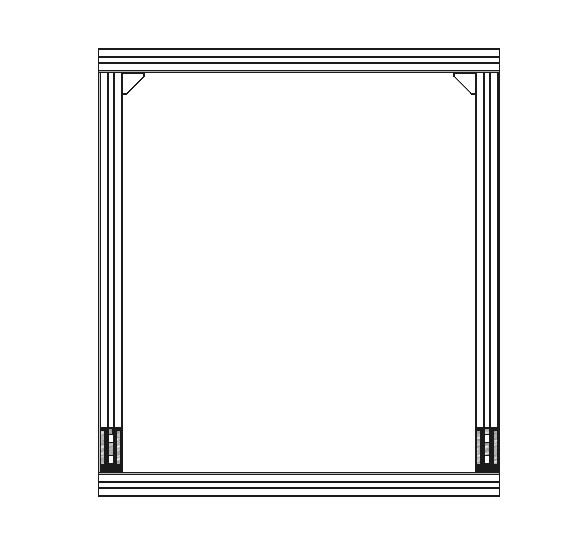 This should look like the picture. 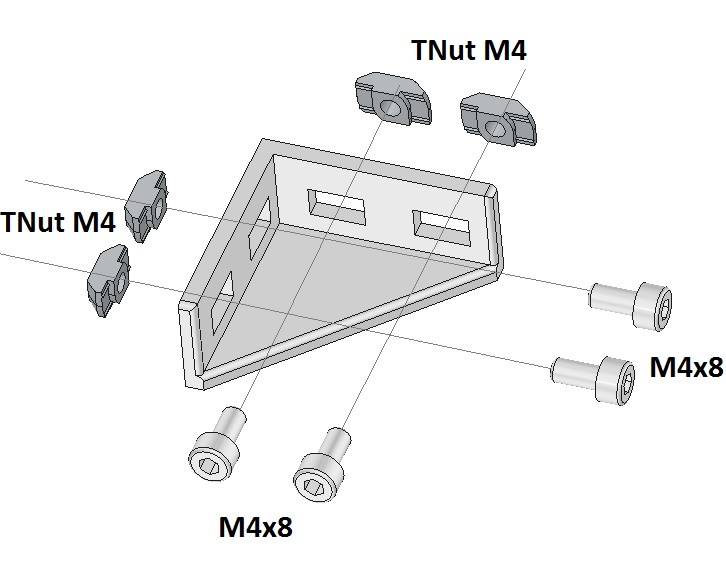 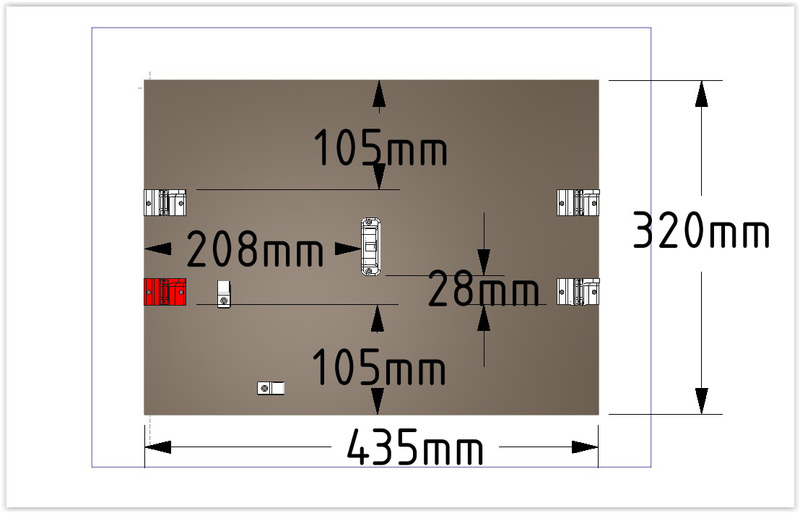 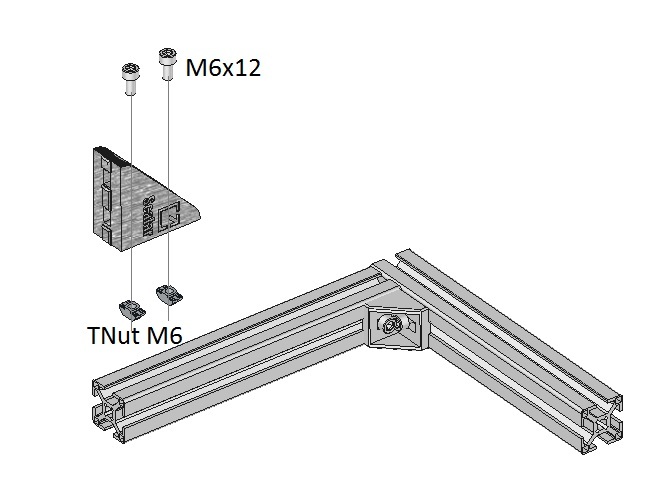 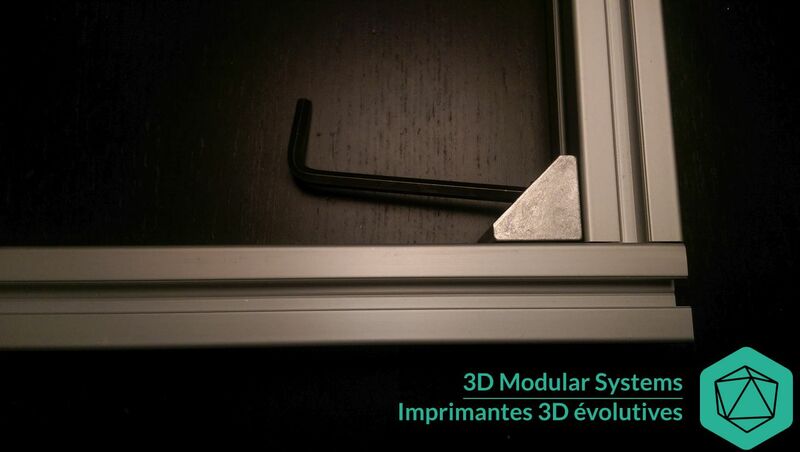 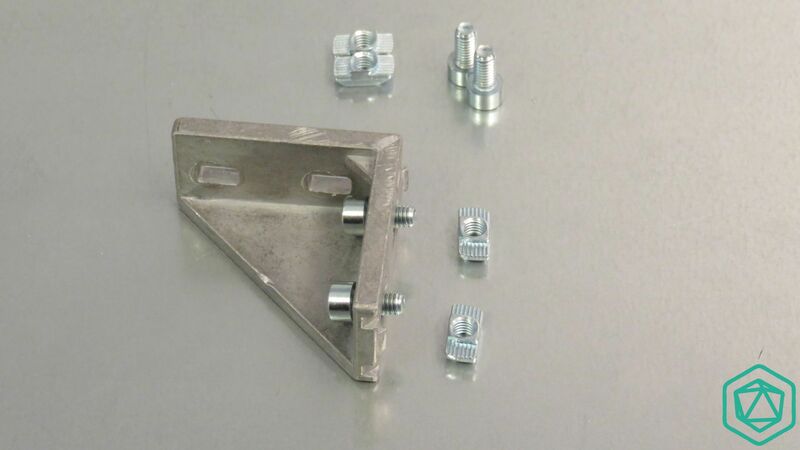 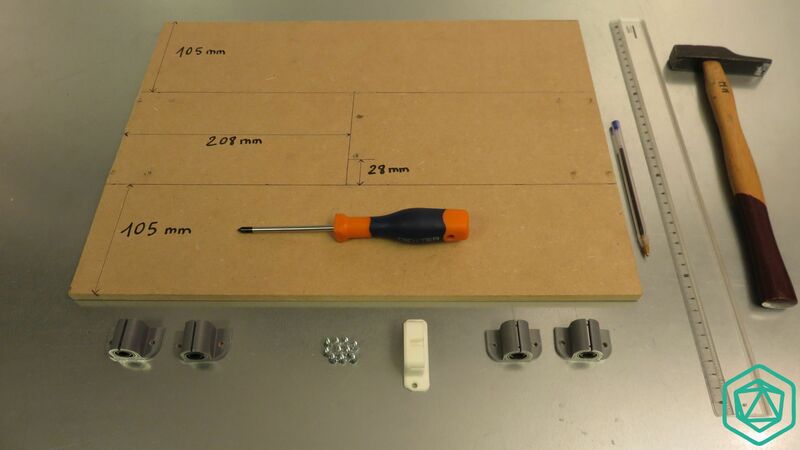 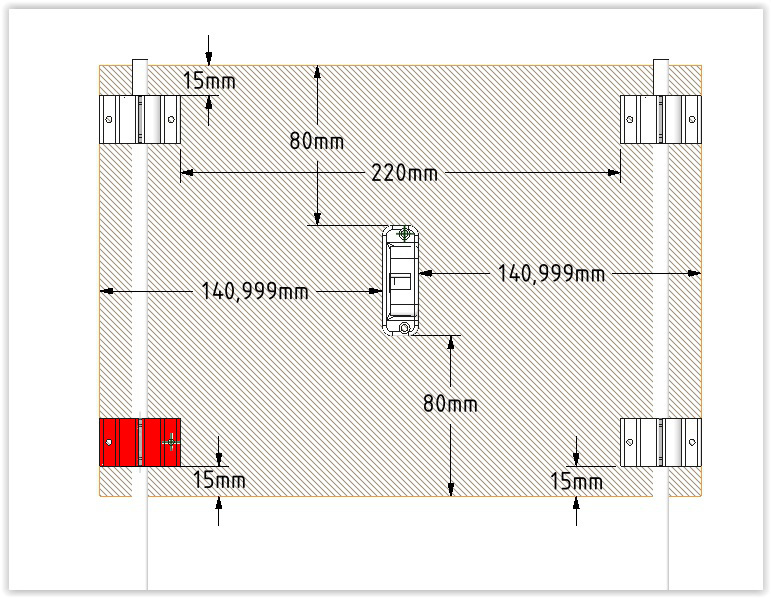 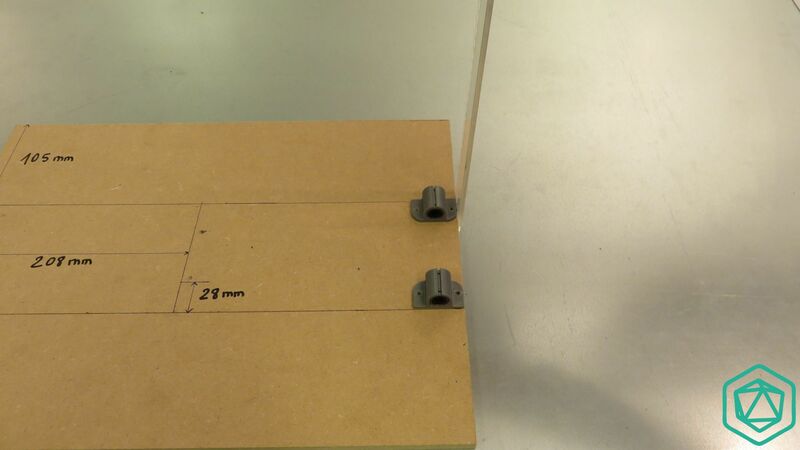 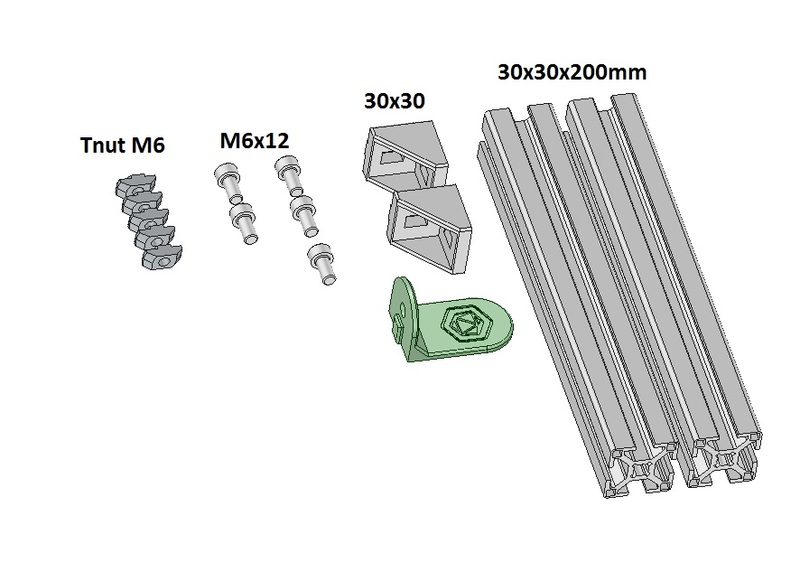 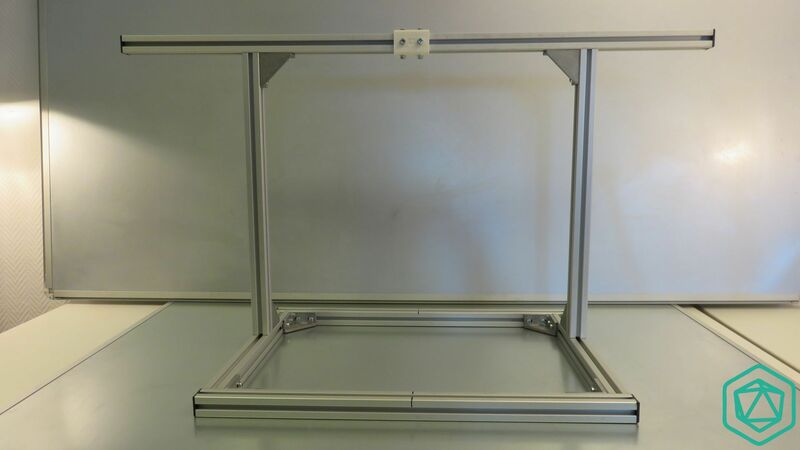 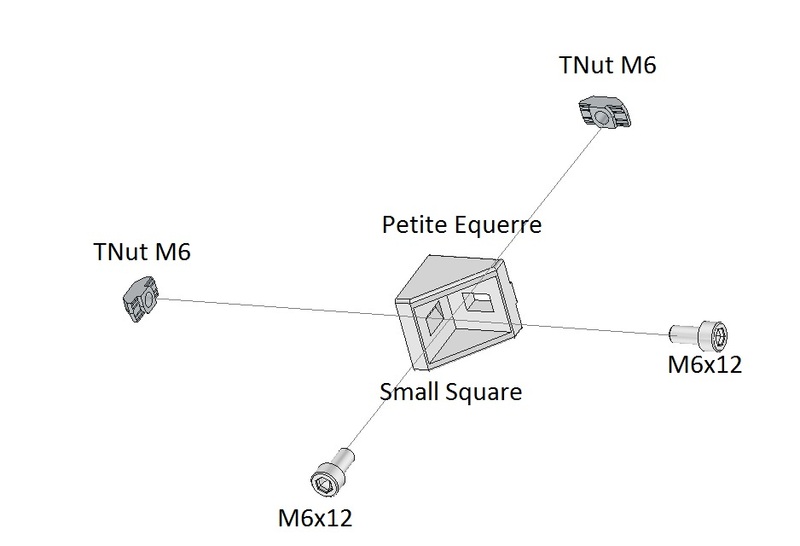 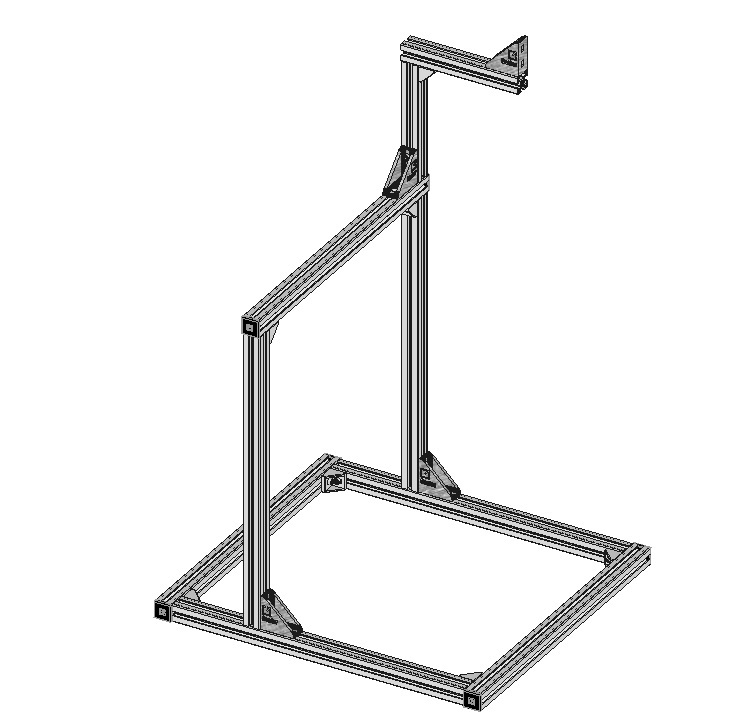 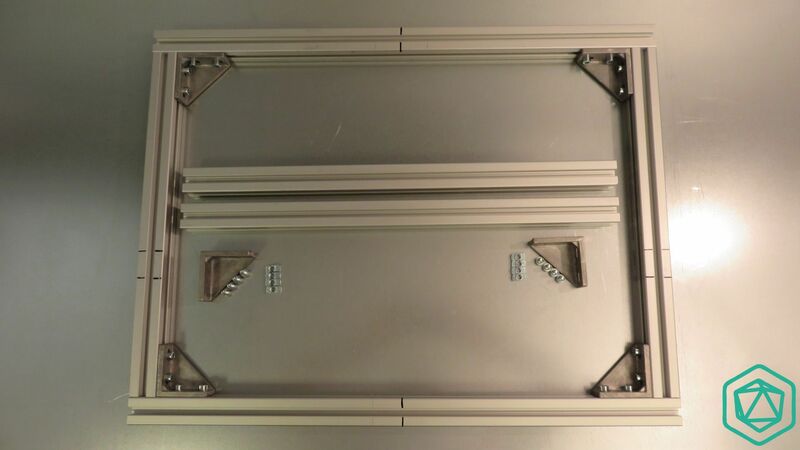 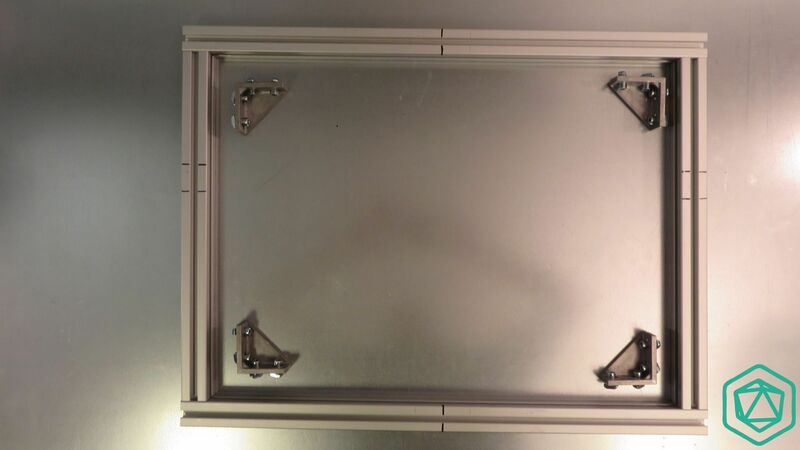 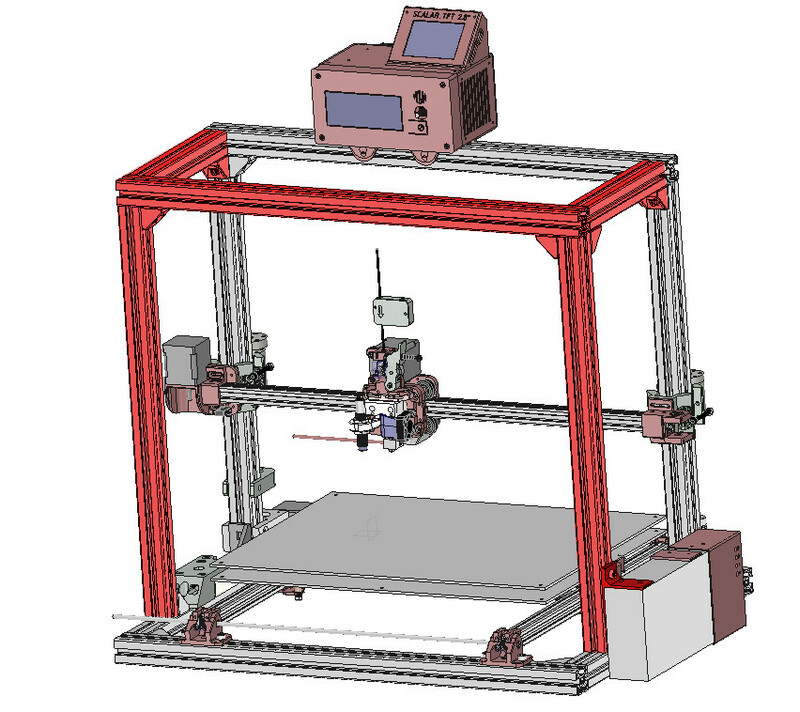 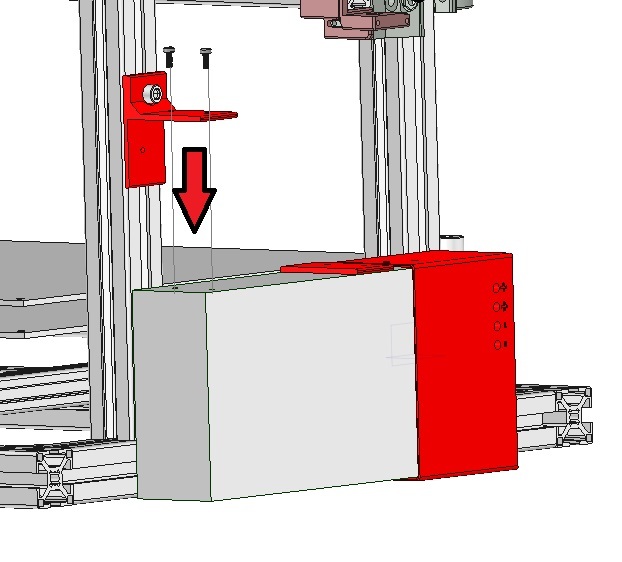 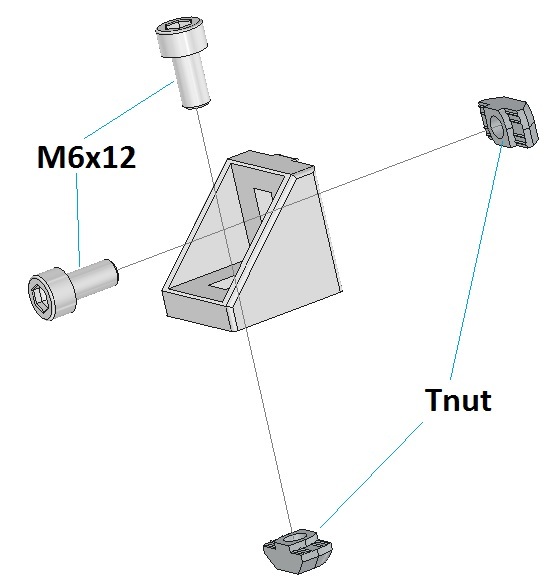 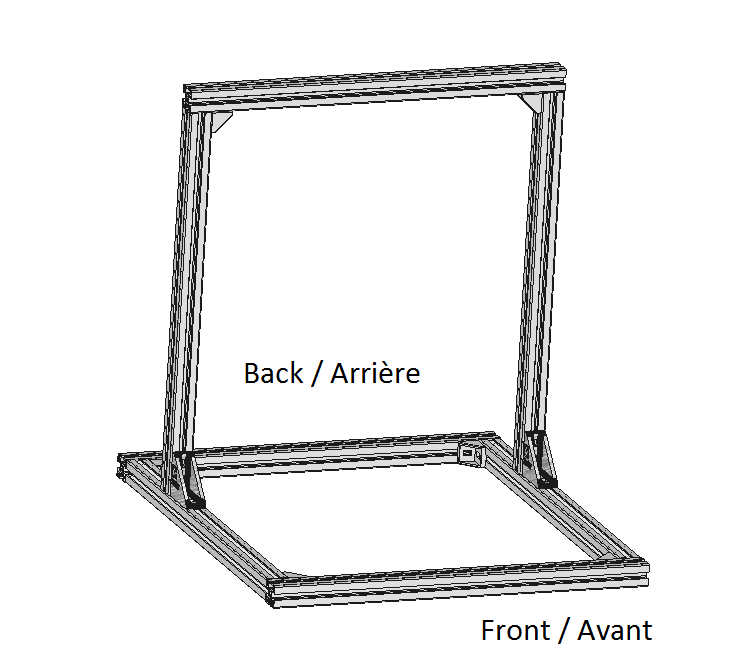 Secure it with a 2nd set of T-Nut/Screw and that’s it..
Cette entrée a été publiée dans Axe Z, Chassis, Electronique, Extruder, Imprimante Scalar, Scalar XL, et marquée avec chassis, psu, spool holder, wiring, le 14 May 2015 par 3D Modular Systems.